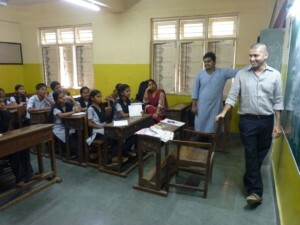 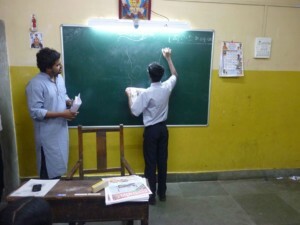 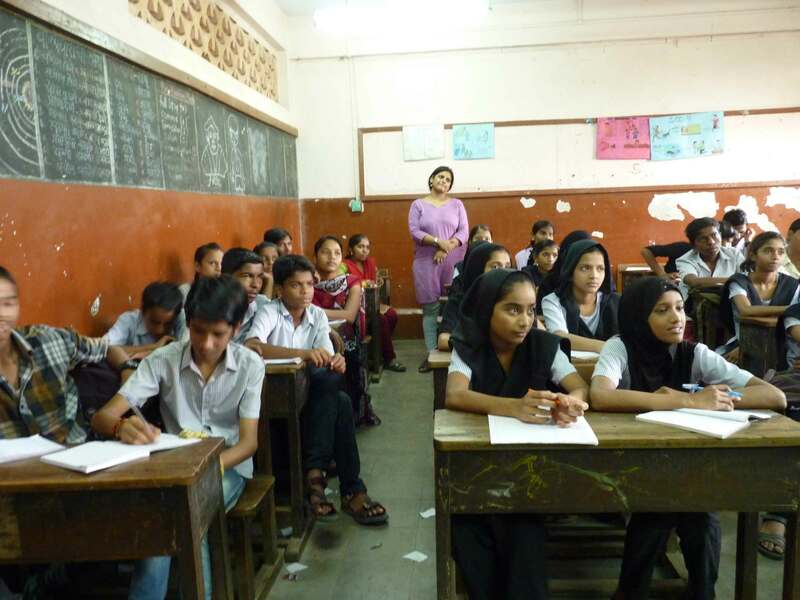 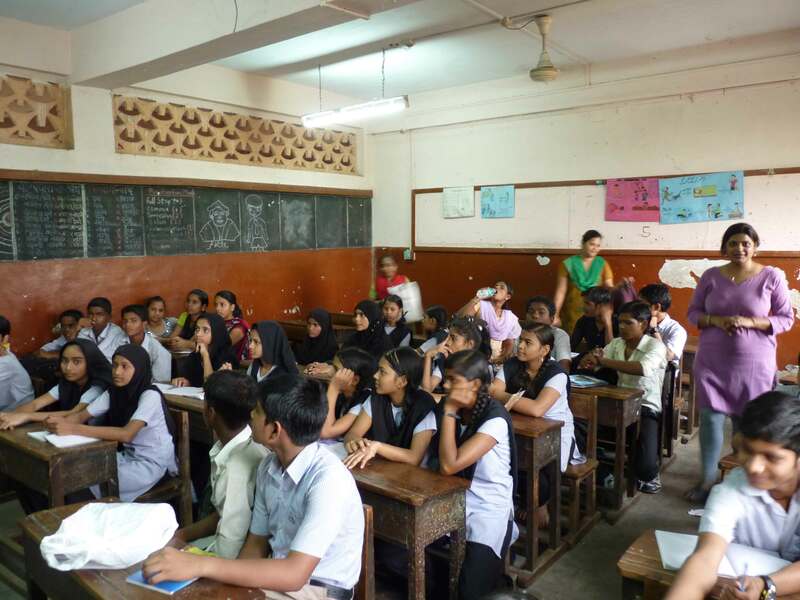 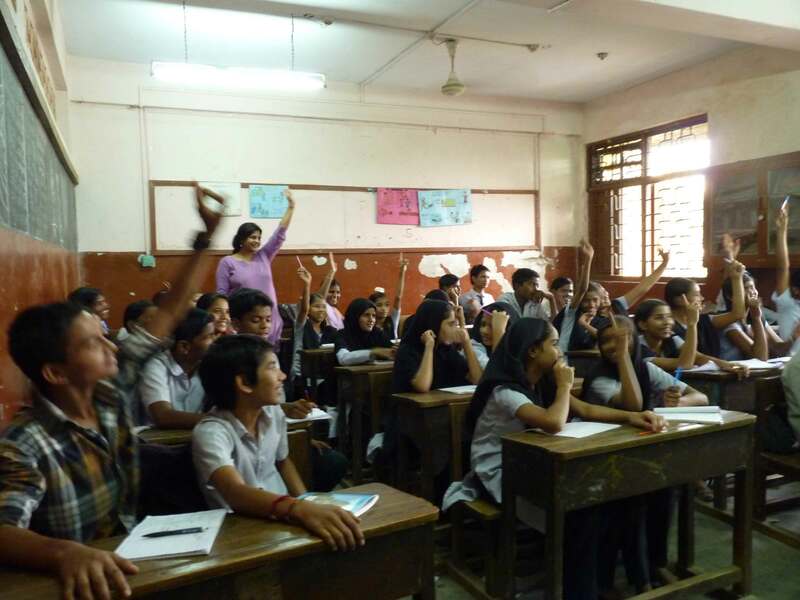 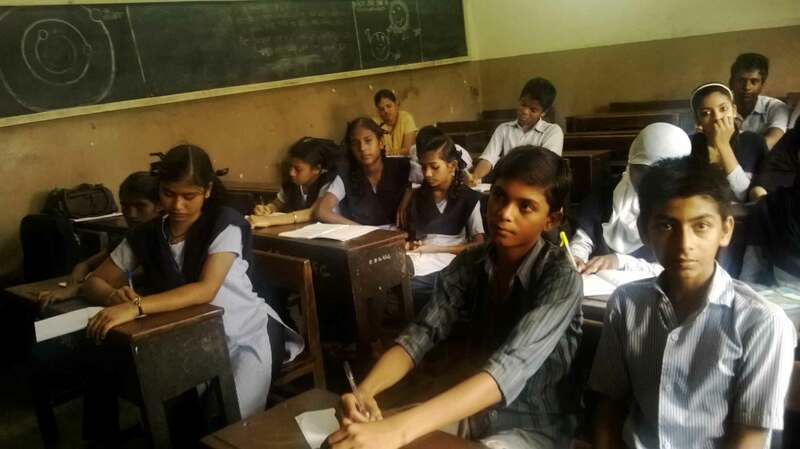 The Urban Design Research Institute and Salaam Bombay, a Mumbai based foundation that works with underprivileged children, collaborated in a series of workshops to draft a plan for raising awareness and participation of children in the ongoing Development plan. 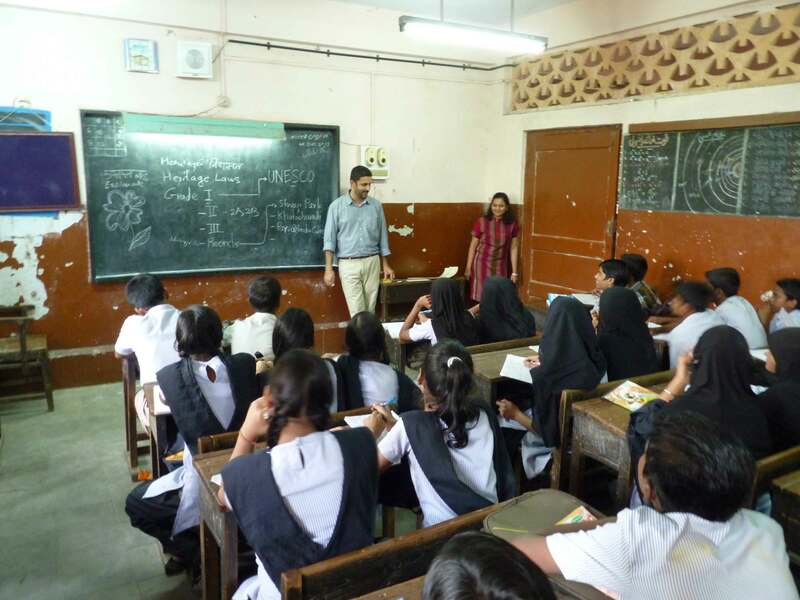 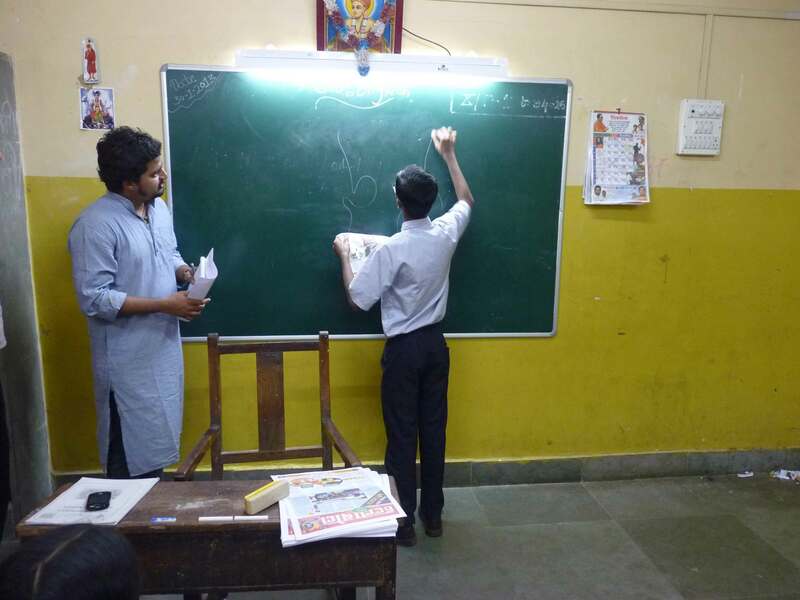 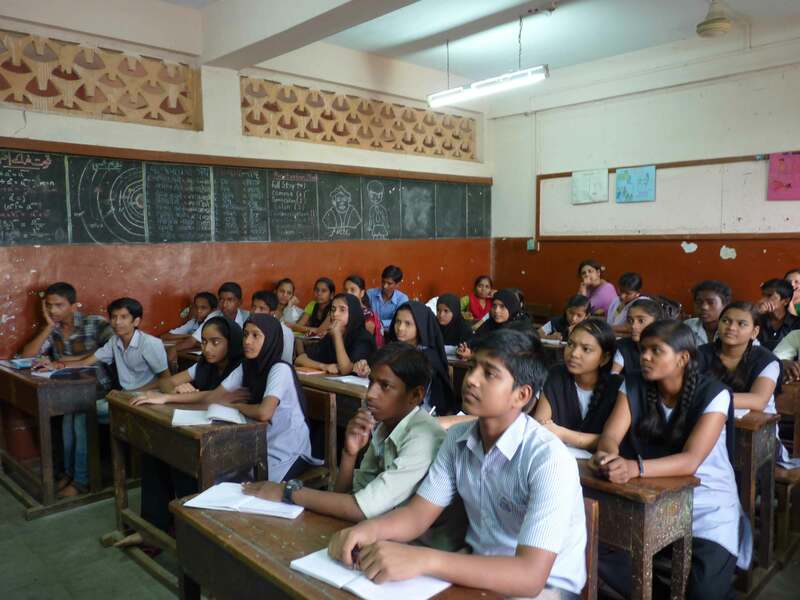 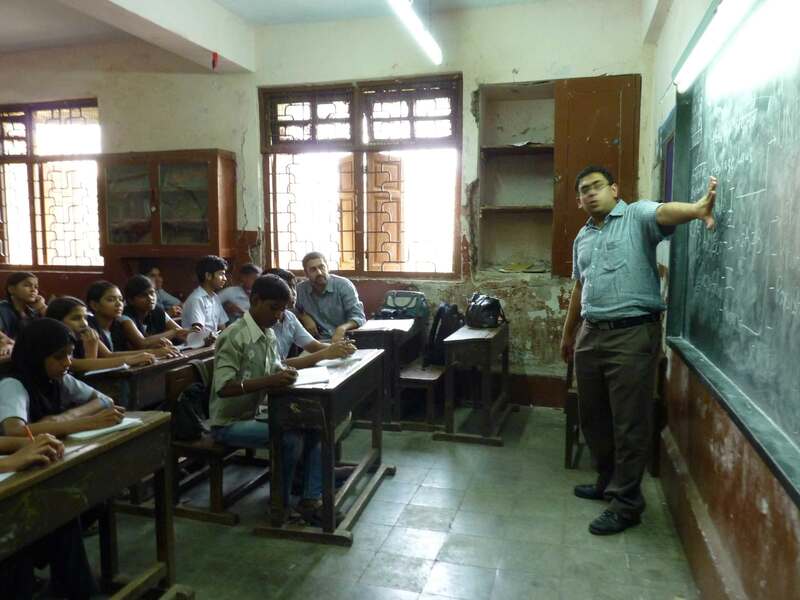 UDRI interacted with students in a two-hour long workshop for students from English medium and Marathi medium municipal schools, covering issues such as sanitation, water supply, public healthcare, waste management and accessible open spaces. 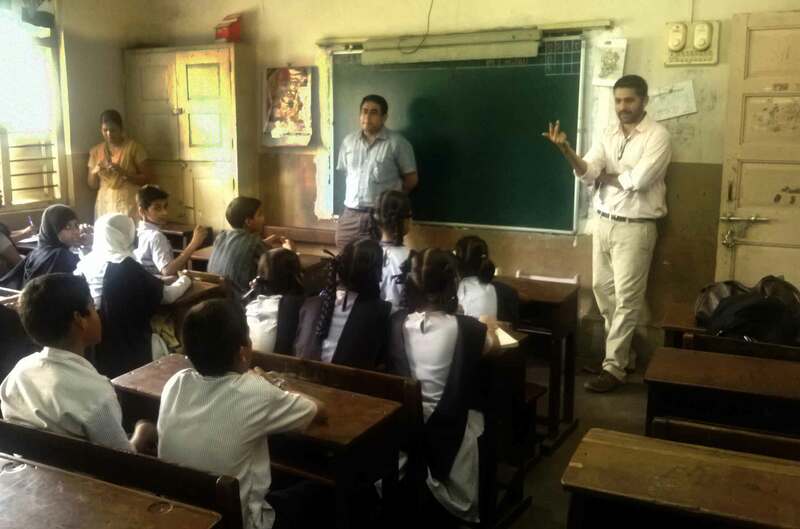 UDRI interacted with children from Behrampada at the offices of Community Rights to Housing to draft a children’s charter. 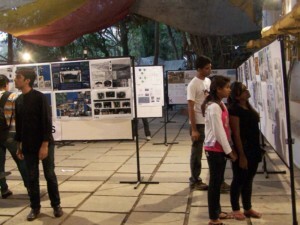 The charter was to list out demands for children’s spaces and integrate those into slum rehabilitation projects in the city. 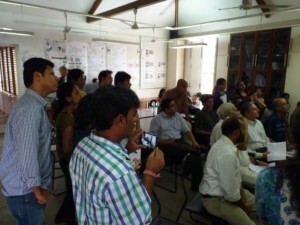 Interaction over concepts of affordability, slums and quality of housing. 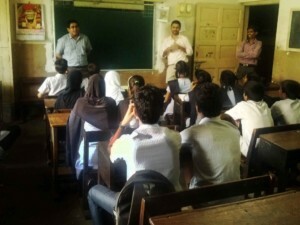 Interaction with students over issues of water supply and sanitation. 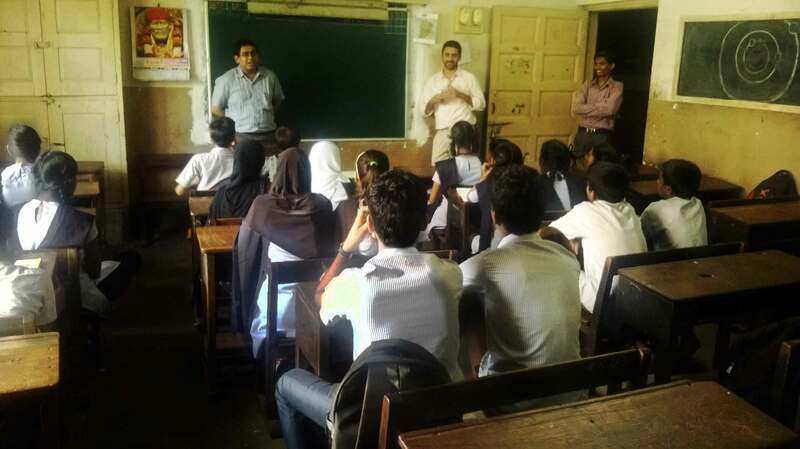 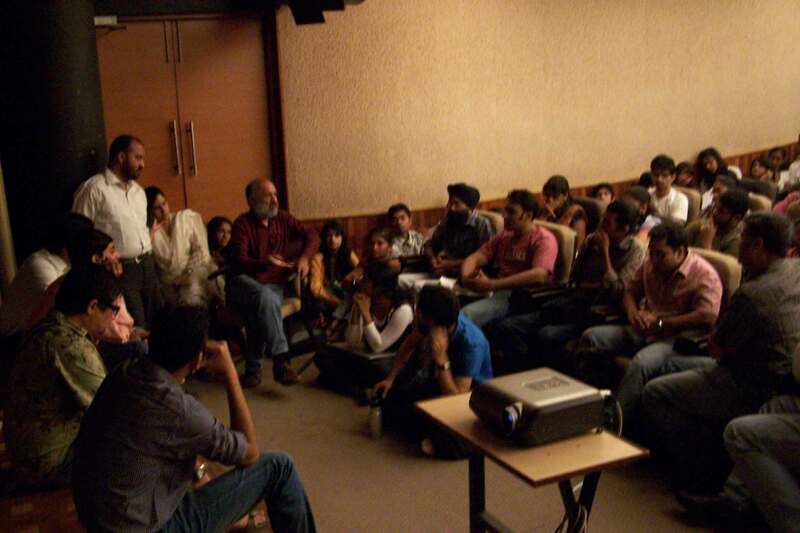 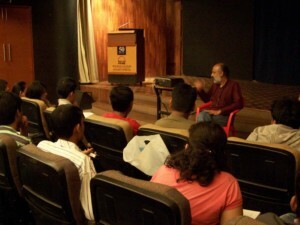 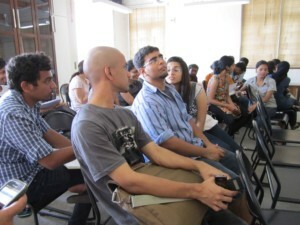 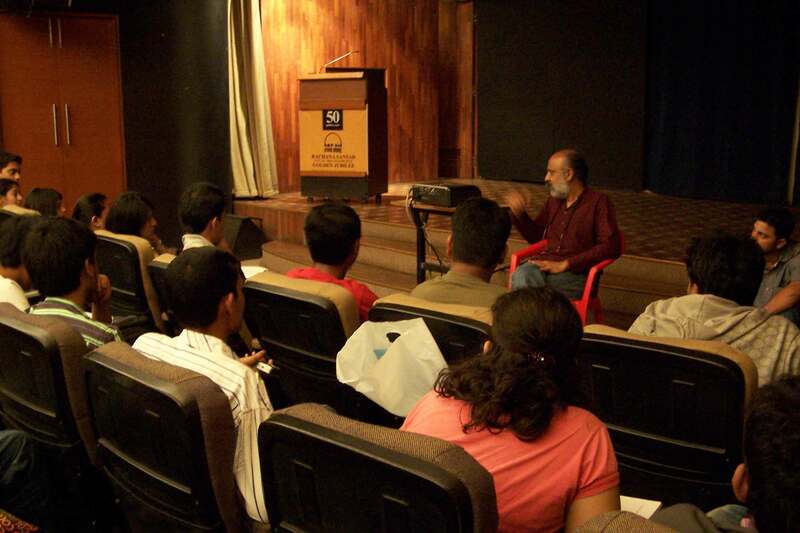 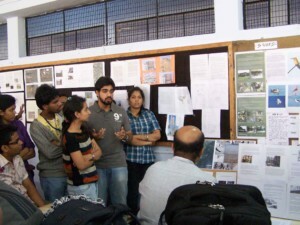 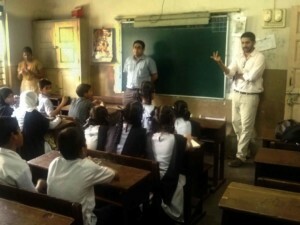 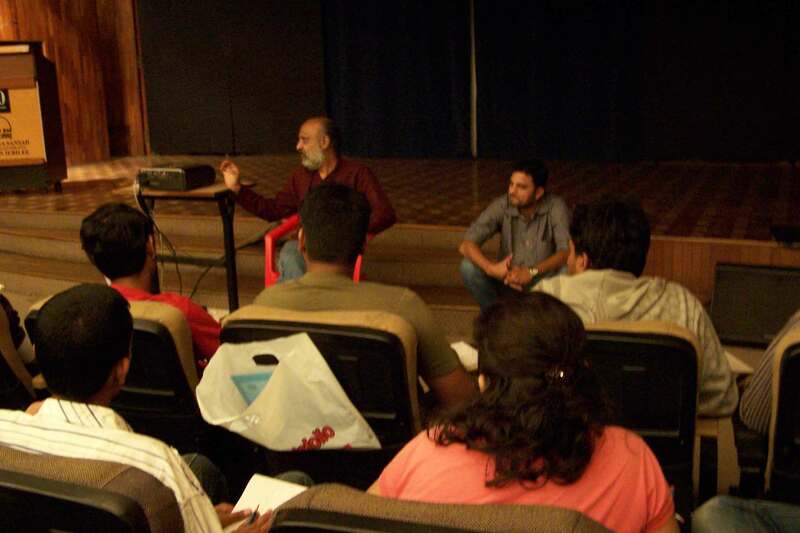 Interaction with students over heritage structures. The UDRI and KRVIA collaborated on a joint Masters Studio ‘A Study of Densities and Public Amenities in Mumbai’ to analyse the shortfalls emerging from the co-relation between existing amenity provisions and current densities in the city. 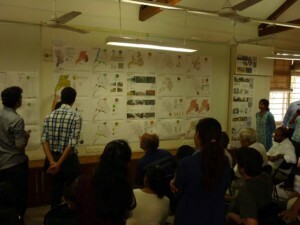 The studio covered three urban localities and one peri-urban locality and aimed to inform the ongoing development plan with its findings. About 30 students presented their work in a seminar in August 2013 along with a comparative insight of other cities such as Paris, Shanghai, London and Tokyo. 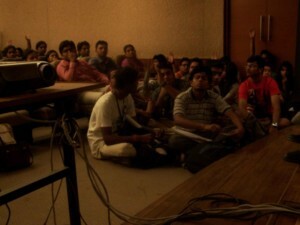 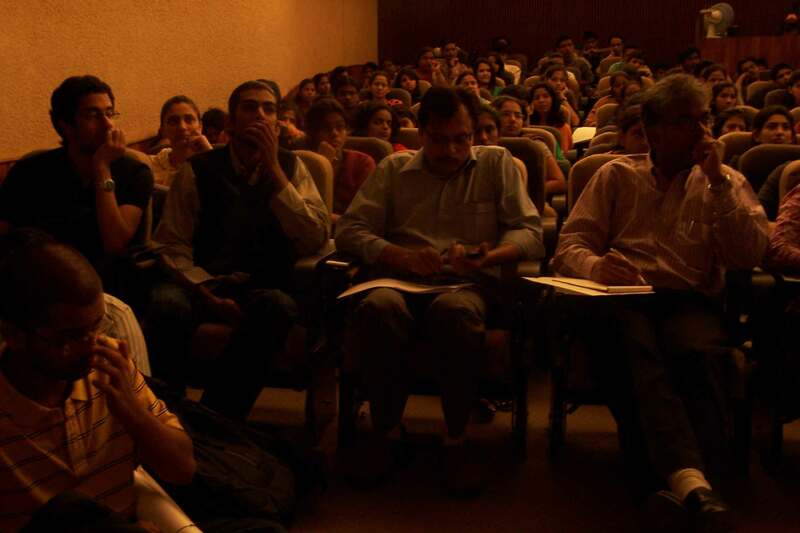 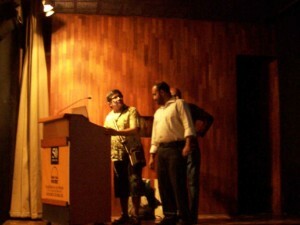 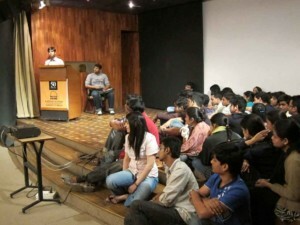 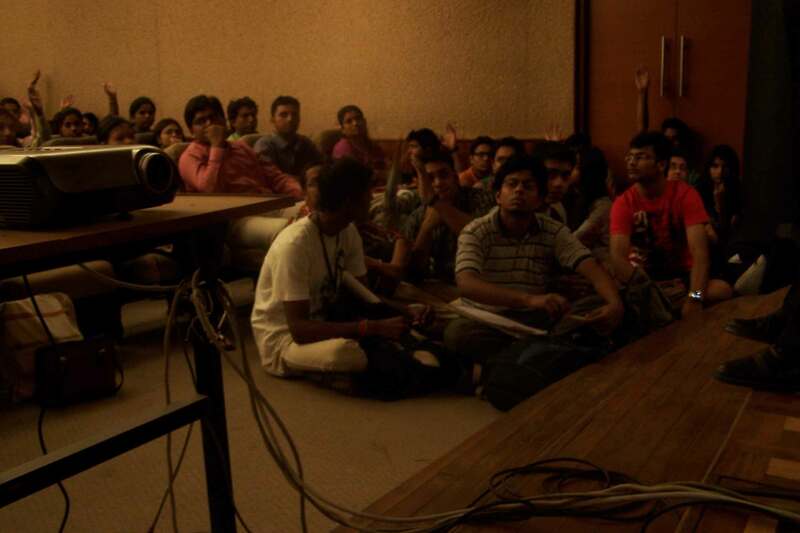 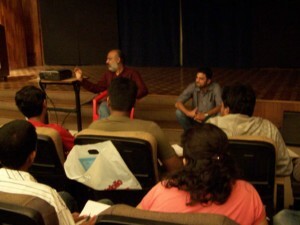 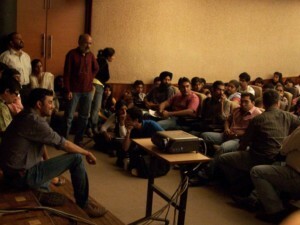 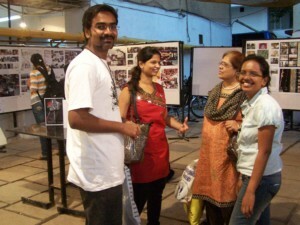 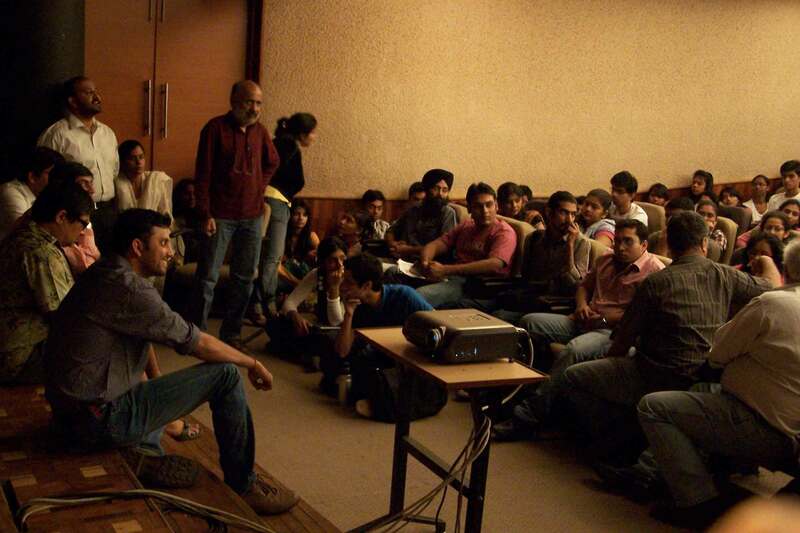 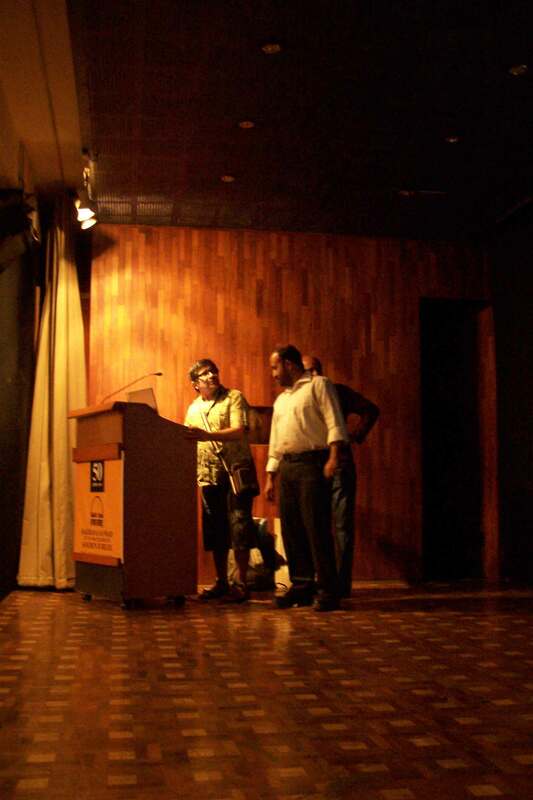 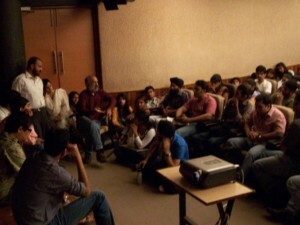 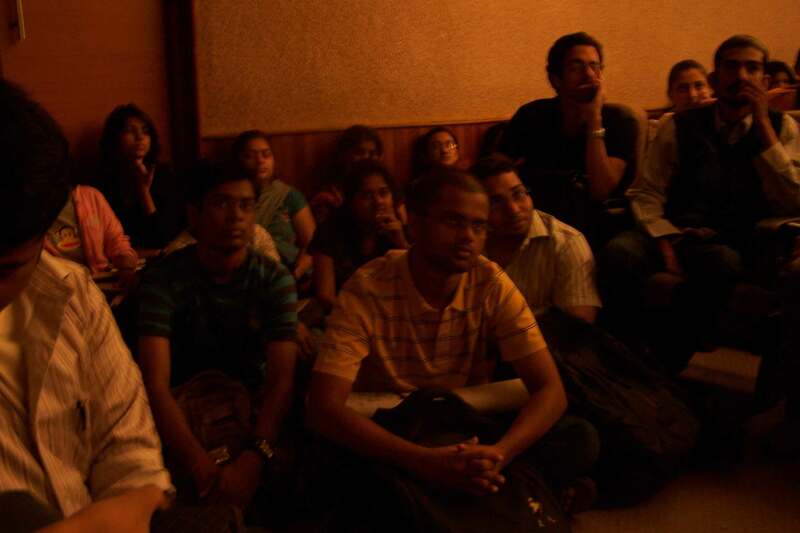 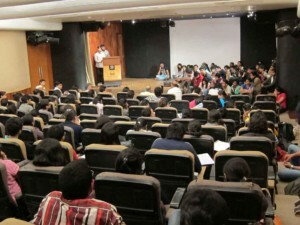 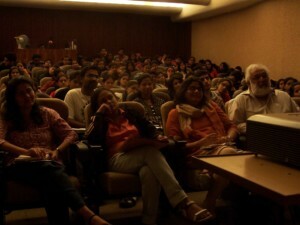 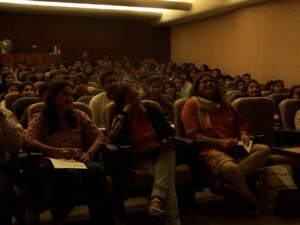 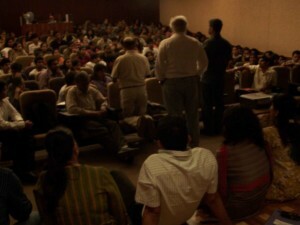 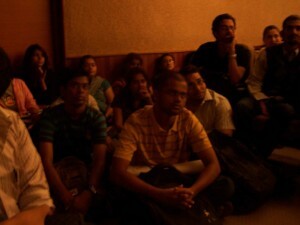 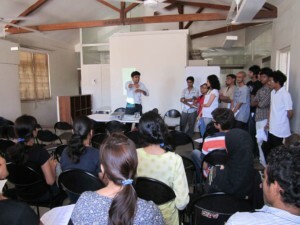 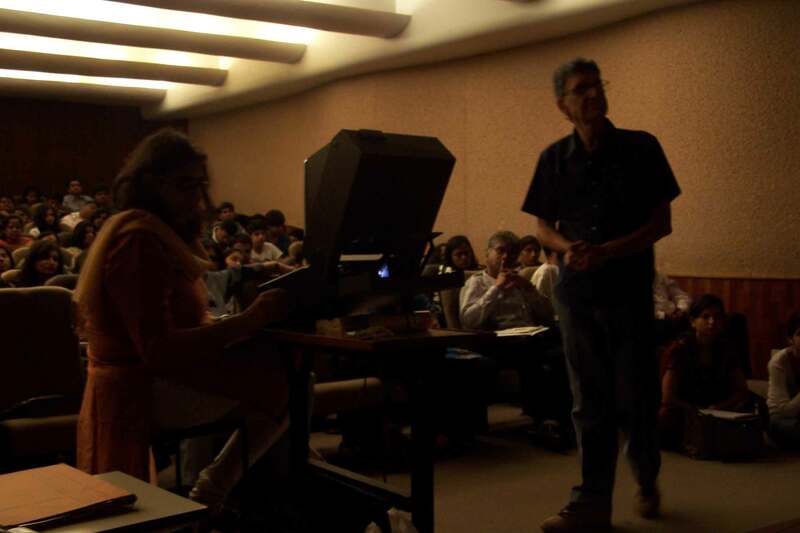 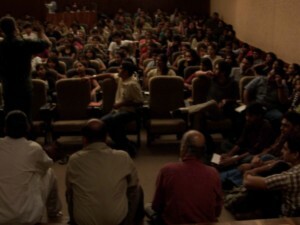 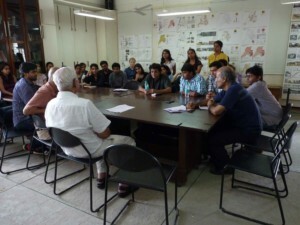 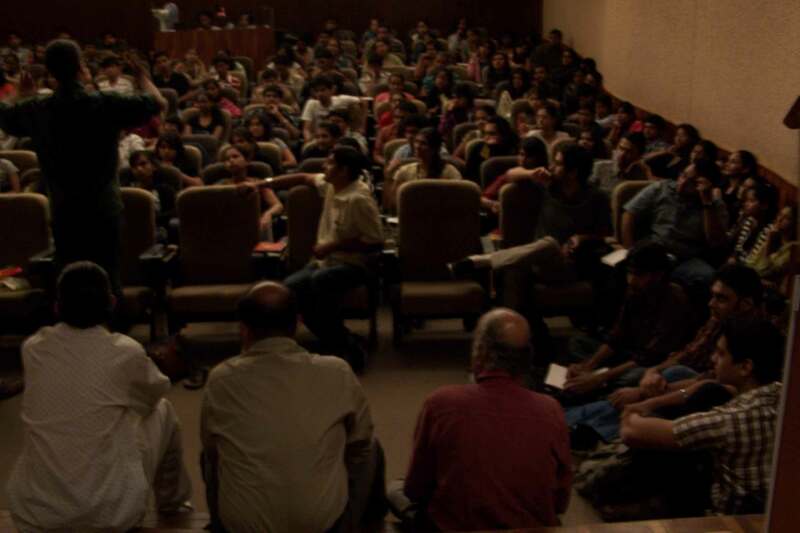 This joint studio culminated in a panel discussion organised at Max Mueller Bhavan. 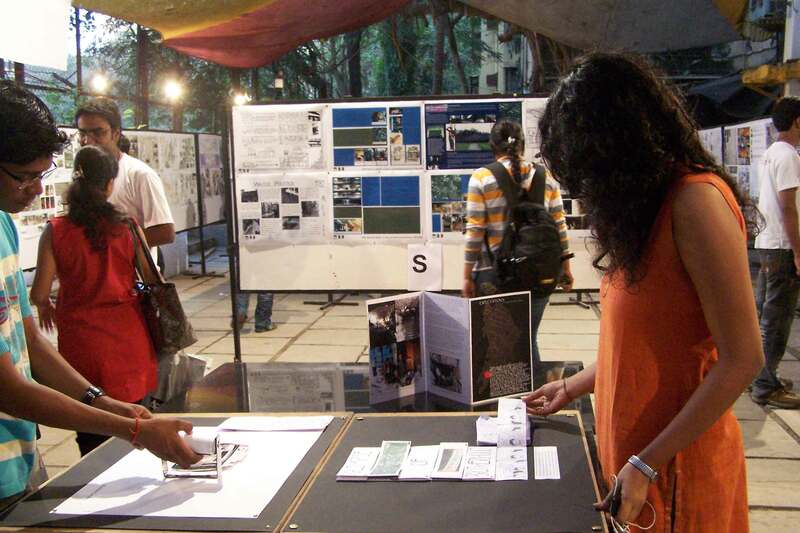 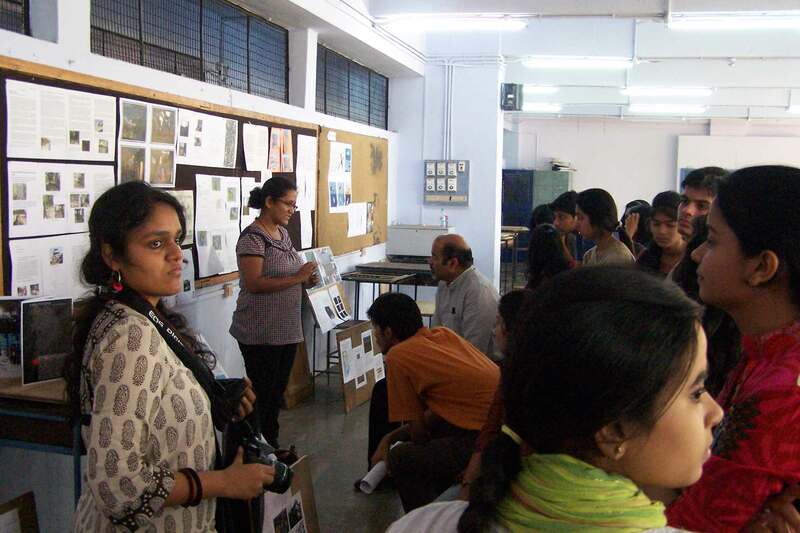 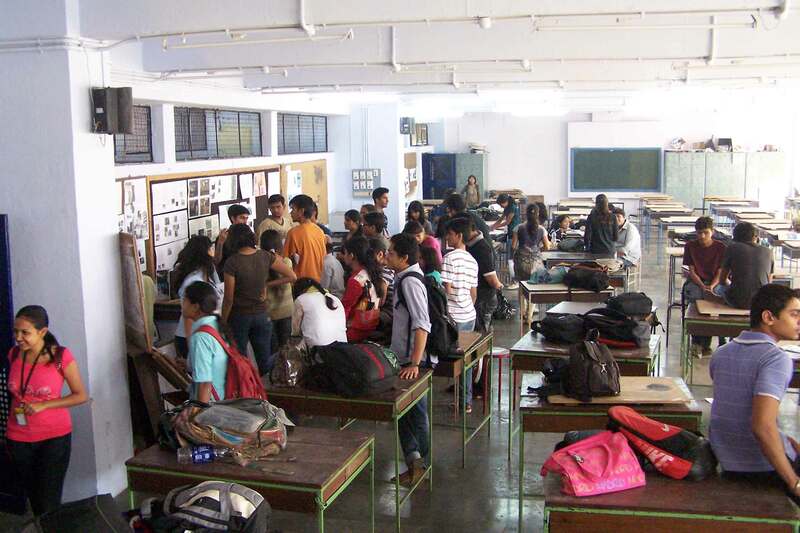 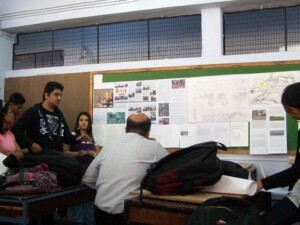 Students participated in a vertical studio where they carried out surveys and documented smaller stories in selected wards of Mumbai under the guidance of the Urban Design Research Institute. 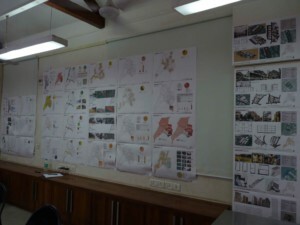 The purpose of the studio was to identify key issues in each ward to support the ongoing Development plan. 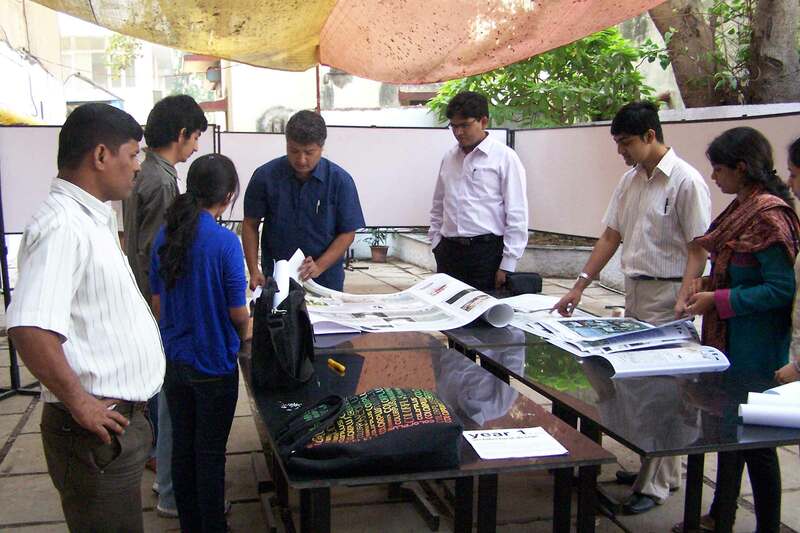 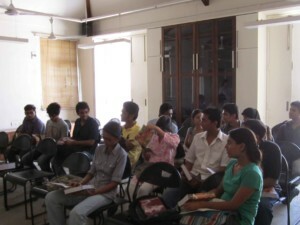 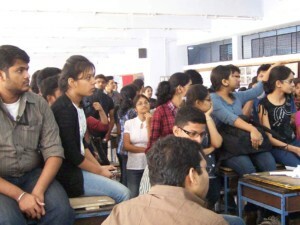 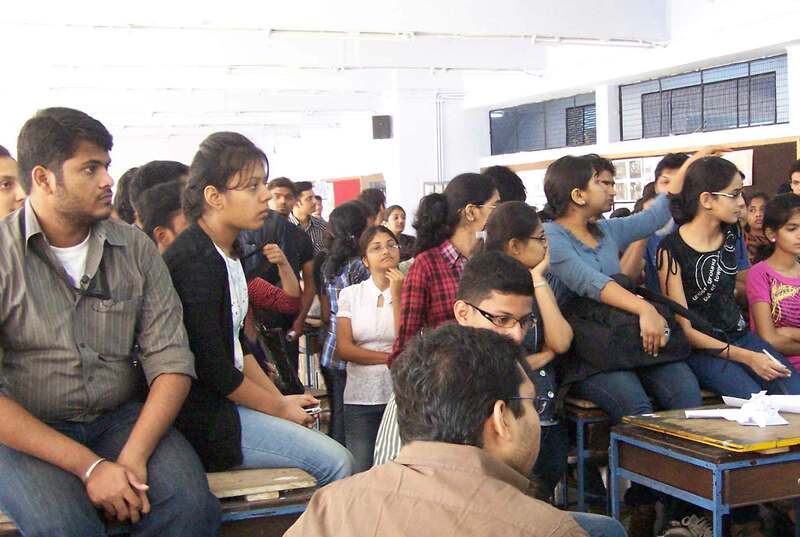 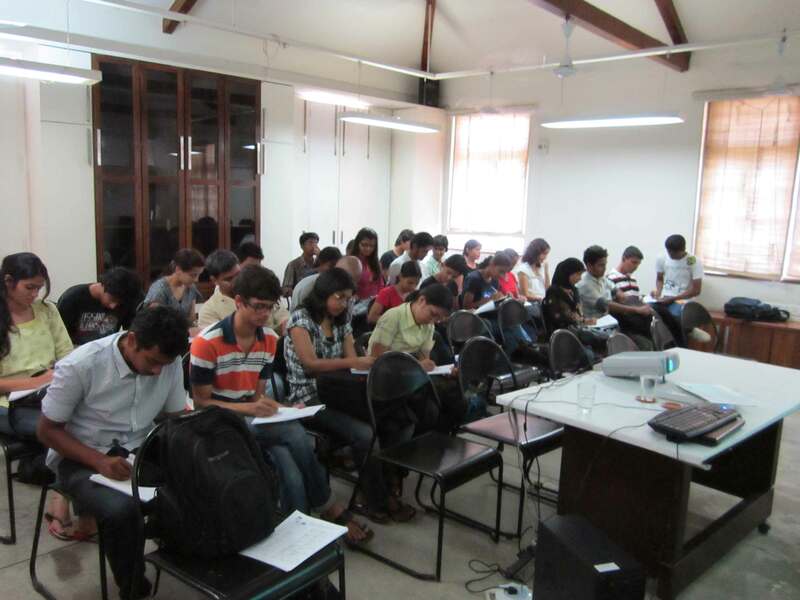 The students were briefed about the survey and the filling of UDRI Development Plan sheets. 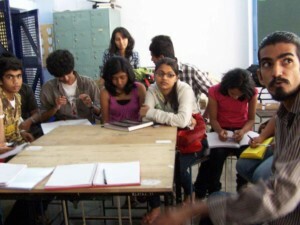 Forming of Ward based groups and assigning the group-in-charges. 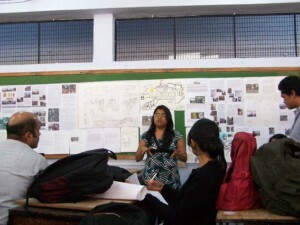 Each student was asked to survey 10 people (from different economic backgrounds) from the ward assigned to them. 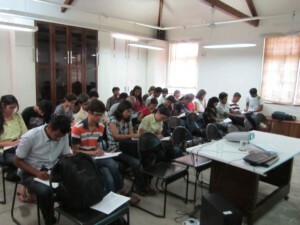 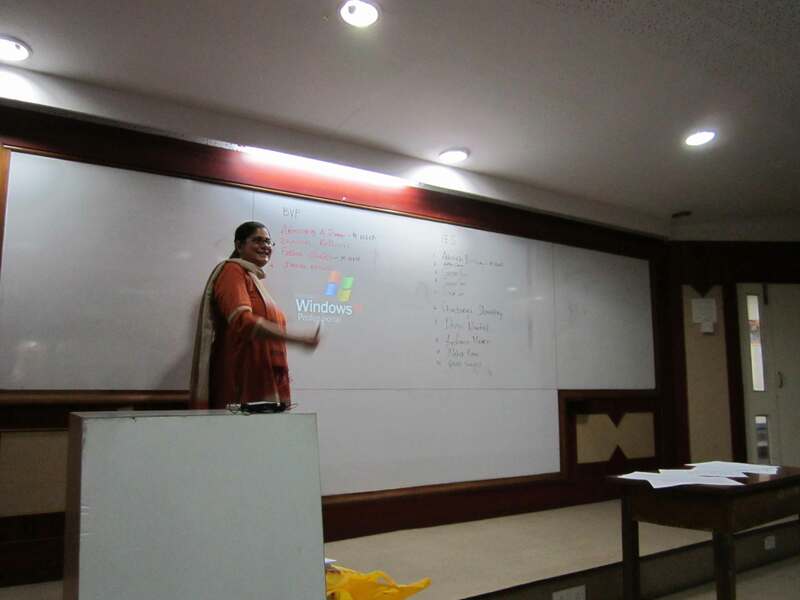 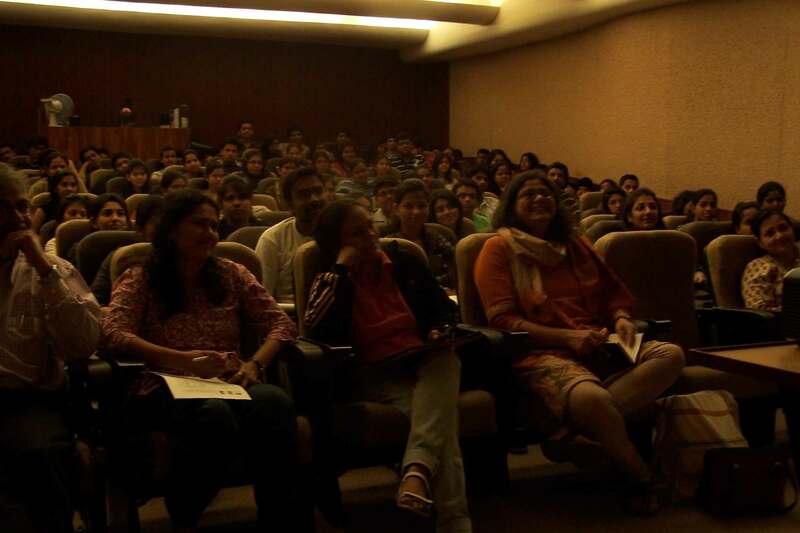 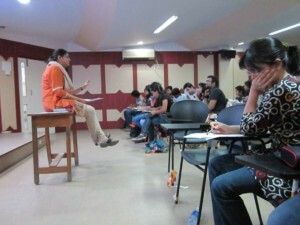 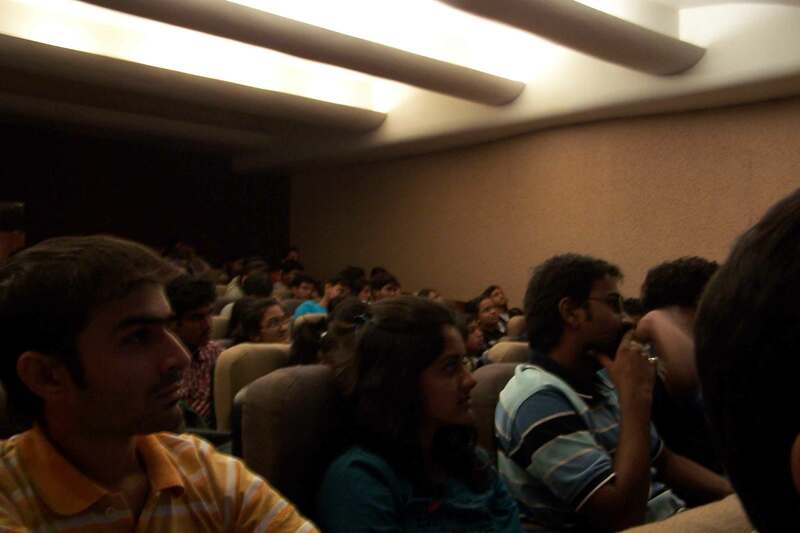 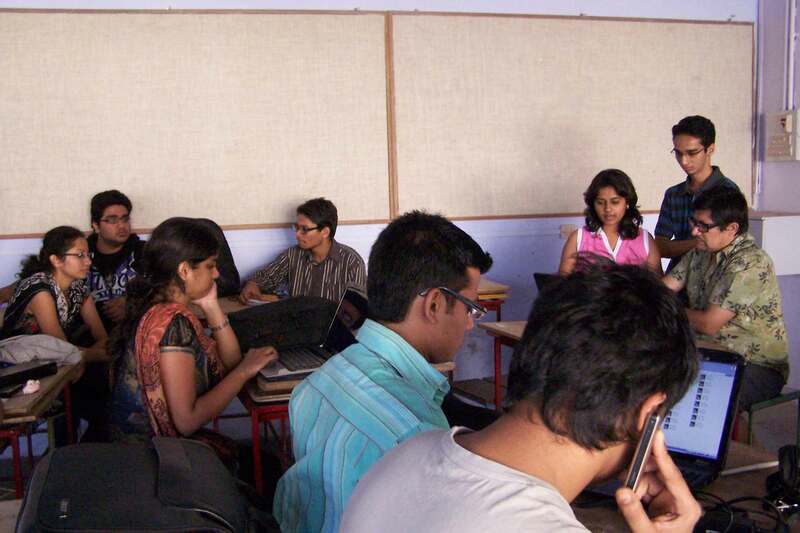 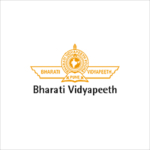 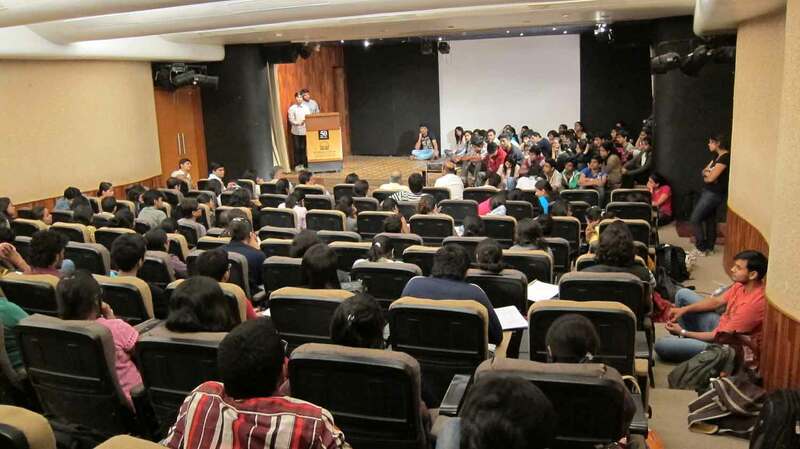 The lecture discussed the tax revenue to BMC under two heads — octroi and property tax. 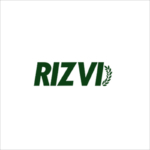 The former is a tax imposed on movement of goods into the city by road, rail, air or sea. 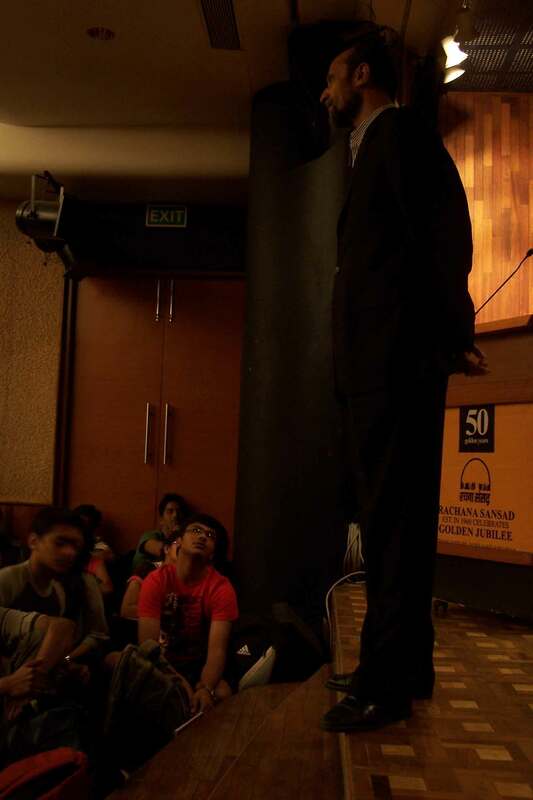 It is inefficient, corruption-prone, but remarkably reliable. 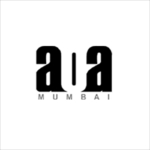 Hence, BMC is unable to get rid of its octroi addiction despite decades of demand by citizens and businesses of Mumbai to get rid of it. 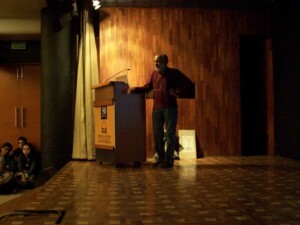 On the other hand, property tax is more logical. 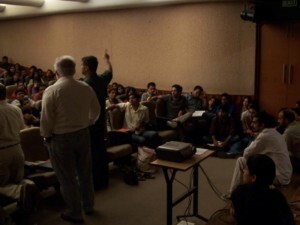 It has the potential to raise much more revenue to the city than it does now. 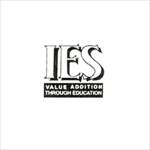 It is paid by owners of property (not tenants or renters), and is based on value of the property. 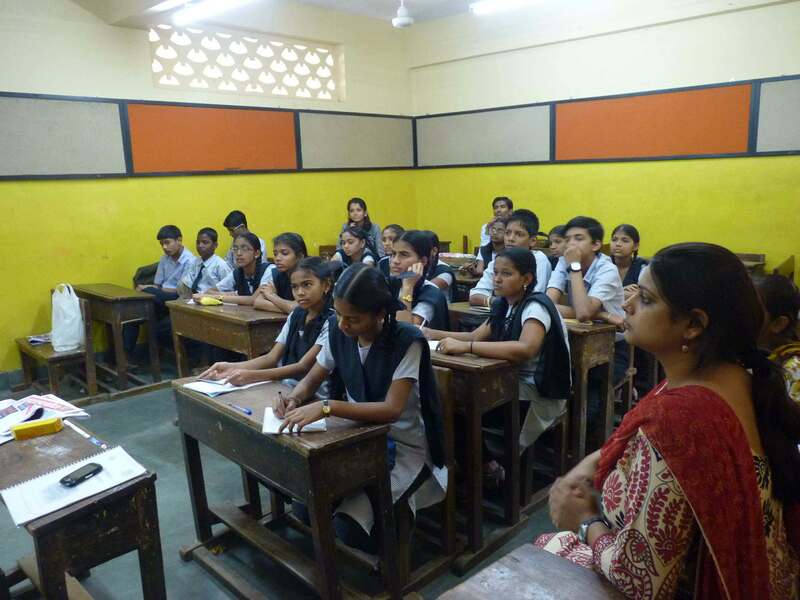 The basic everyday needs like water and electricity were discussed in depth to make the students aware of the city’s economy at a micro level. 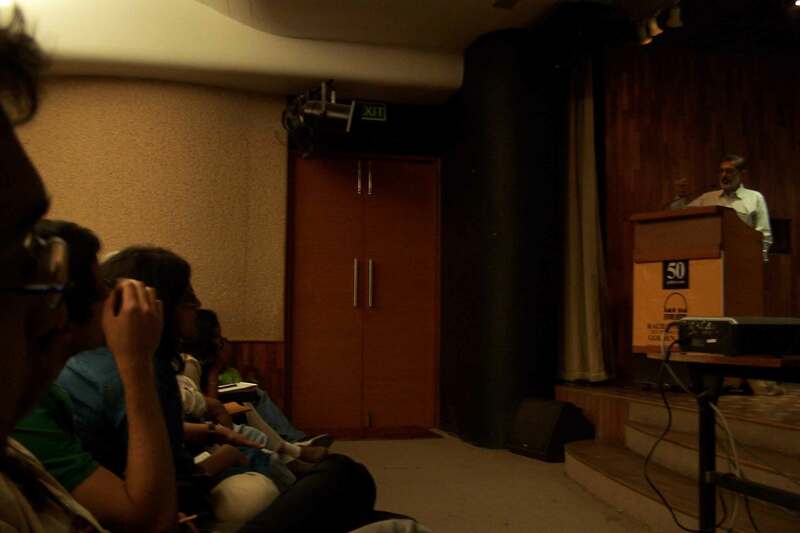 The lecture discussed the need for a platform that major urban centers like Singapore have in order to supplement great architecture. 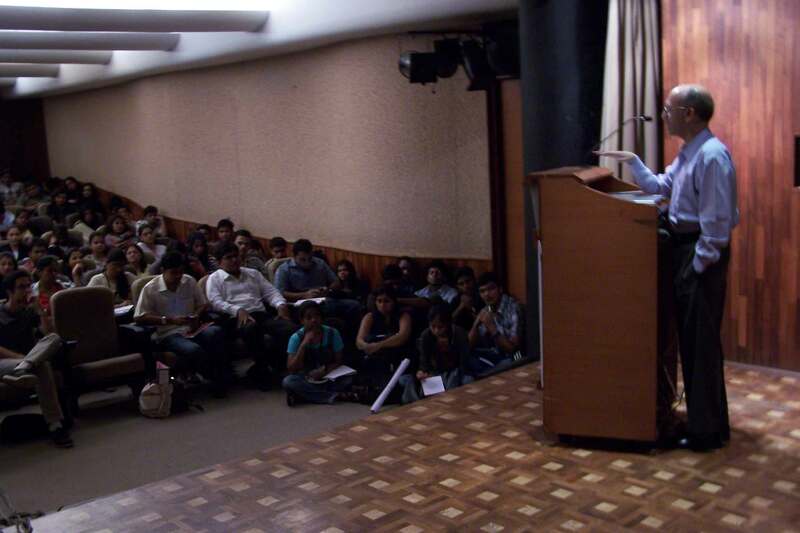 Development comes with strong urban planning and infrastructure, that Mumbai, and in particular this area, requires. 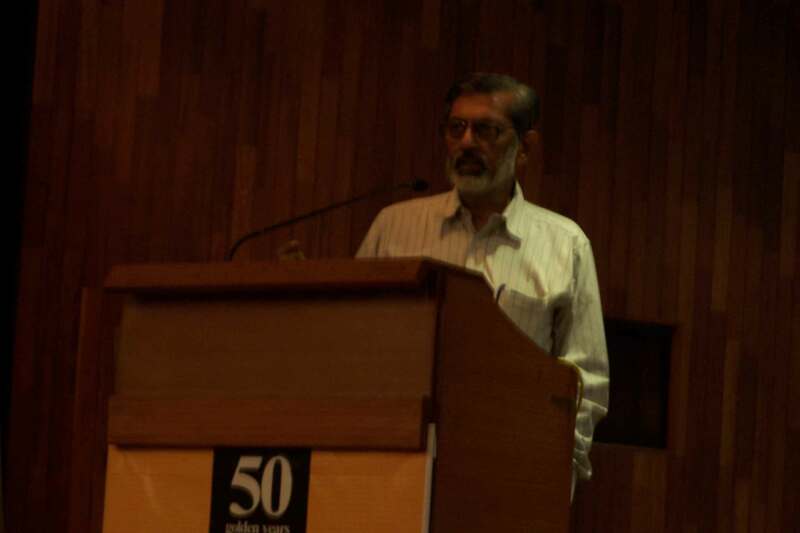 Mr. Phatak first gave historical evolution of floor space index (FSI) as a regulatory tool in Mumbai. 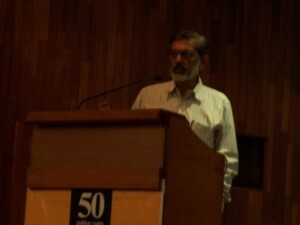 Till 1964, FSI was not used as a regulatory tool in Mumbai. 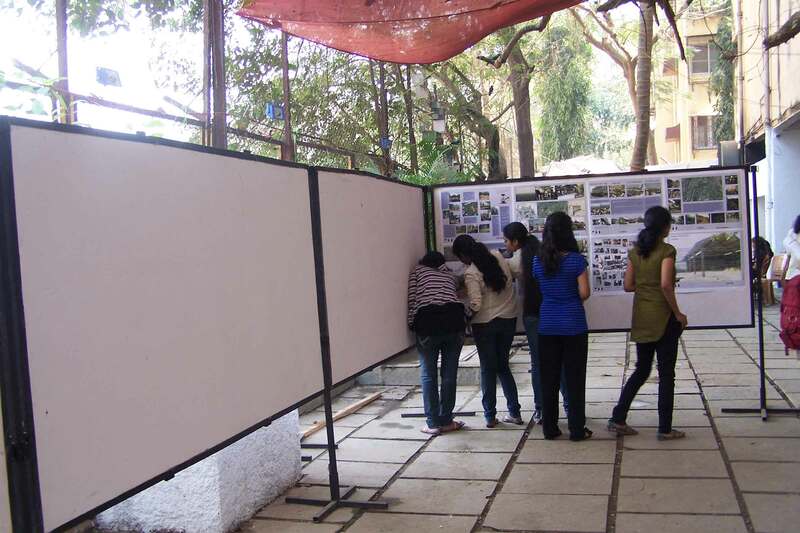 Focus of building regulation was on height in relation to the width of road, light angle and ground coverage. 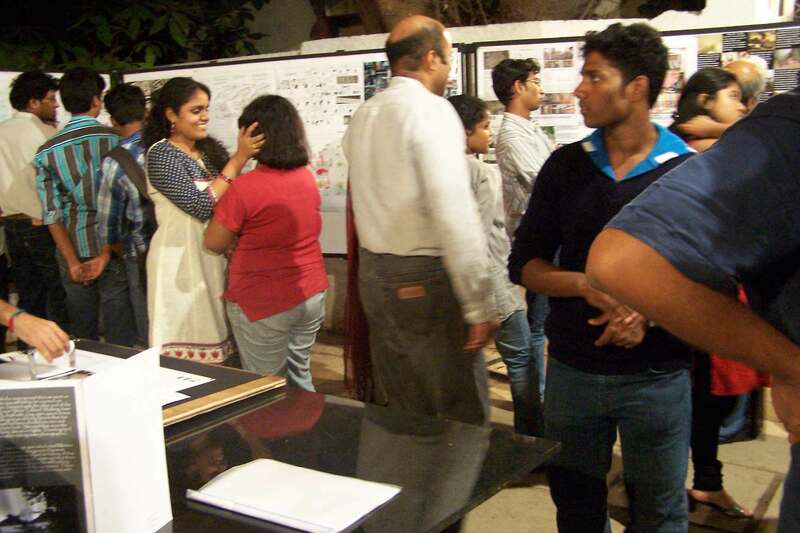 This resulted in 5-6 storey buildings having FSI between 2.5 to 3. 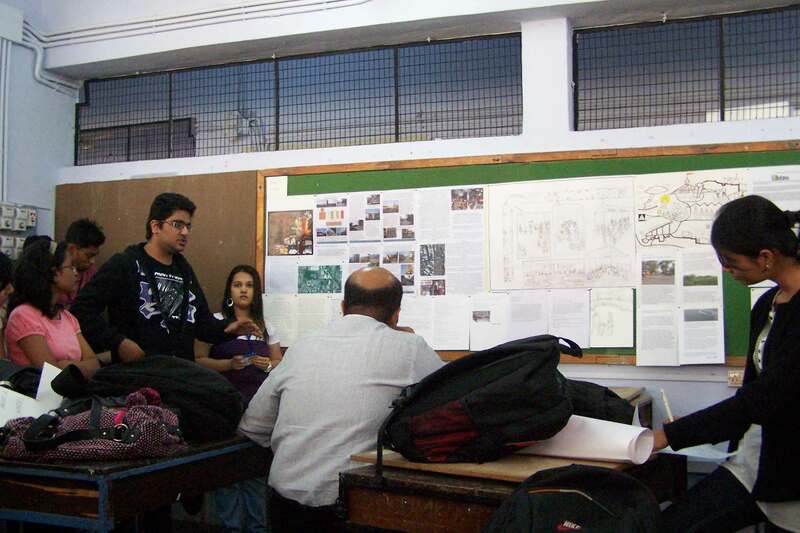 However, in 1964 the concept of FSI was introduced to give more flexibility to building designers and use of modern construction technology. 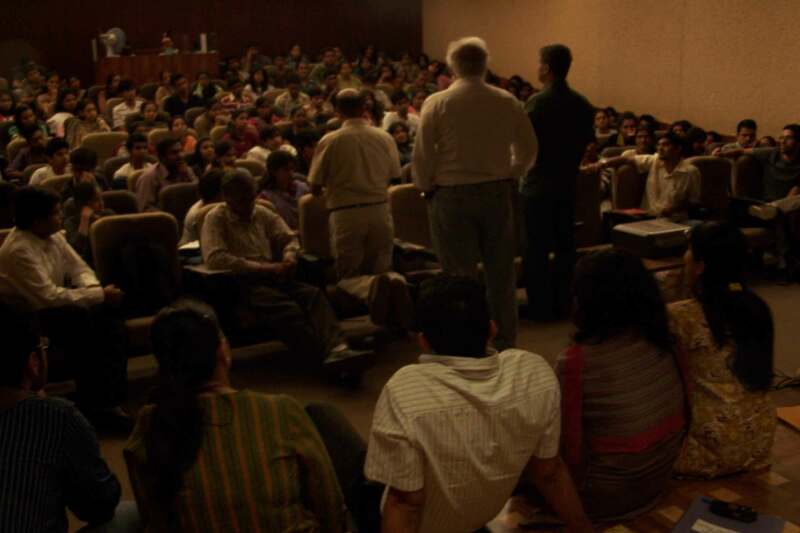 In 1995, the Government allowed use of higher FSI for providing free housing to slum dwellers. 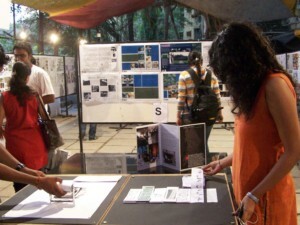 This method was also used to support reconstruction of old buildings in the Mumbai city. 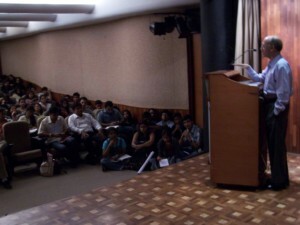 In Maharashtra State Annual Budget 2008-09, the Finance Minister proposed that FSI in Mumbai suburbs will be increased from 1 to 1.33. 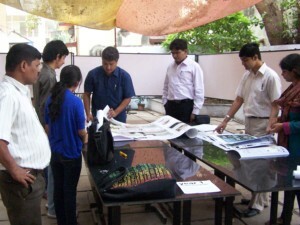 However, the developer has to pay market price for the additional 0.33 FSI. 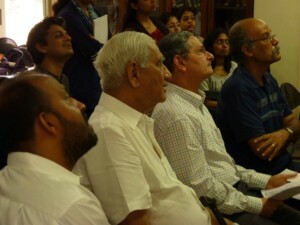 Thus, Mumbai has a tradition of use of higher FSI for housing for the poor and reconstruction of old buildings. 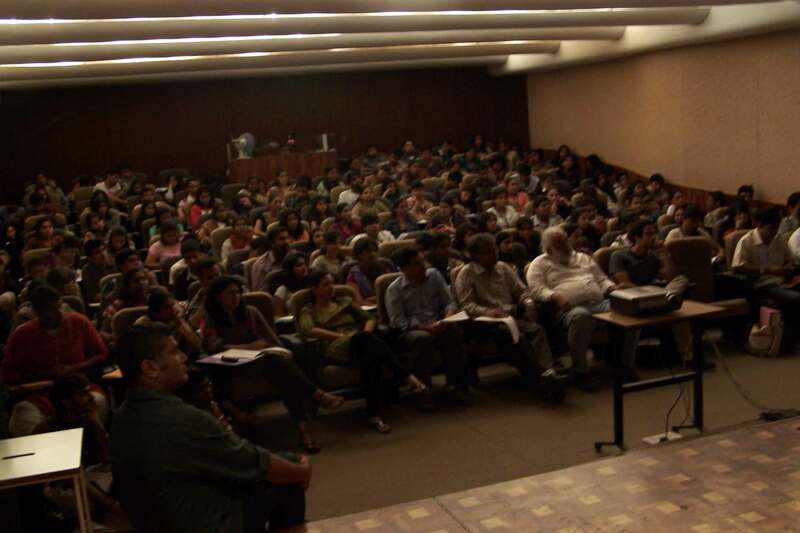 Mr. Phatak however raised a basic point as to who owns the development rights in the present legal framework and therefore whether the state has the right to sell such rights. 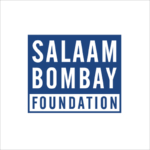 Some of the other methods of financing urban infrastructure through alternative methods of financing are a) levy of impact fee b) area linked development charge c) external development charge: and d) betterment levy. 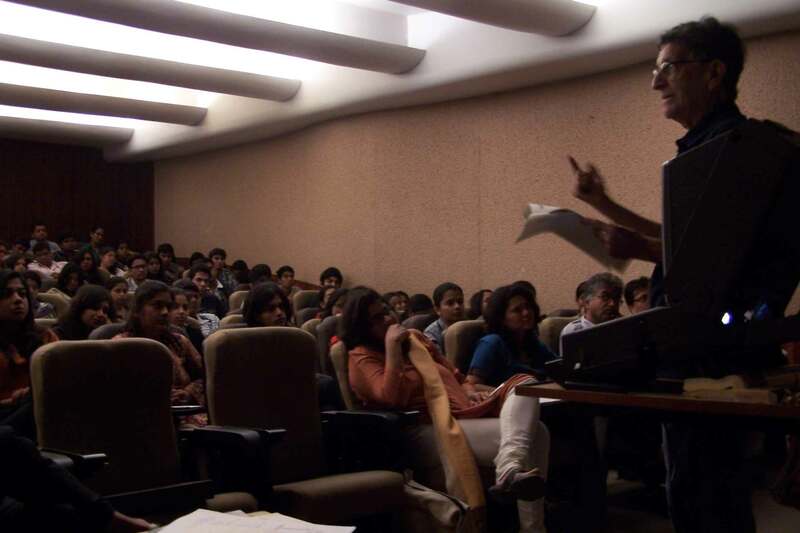 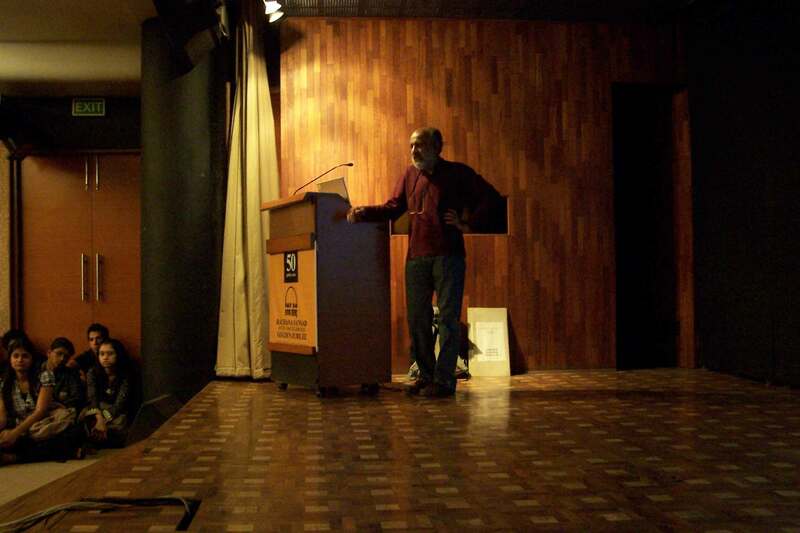 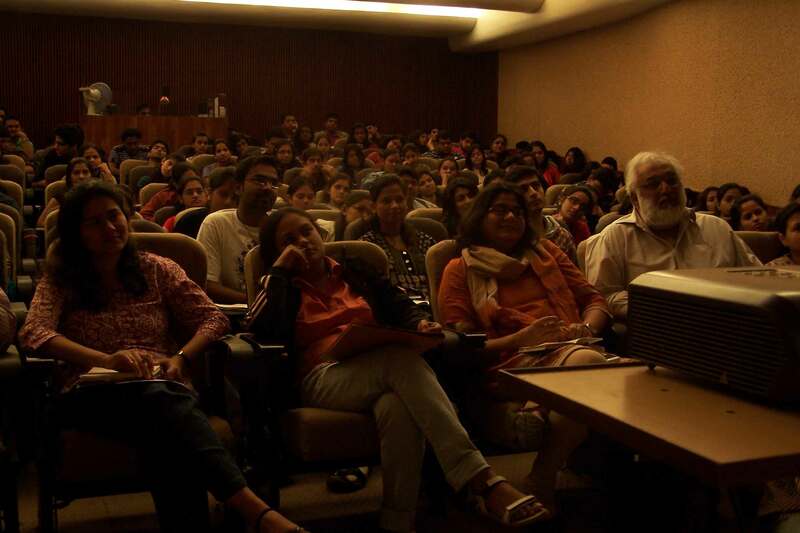 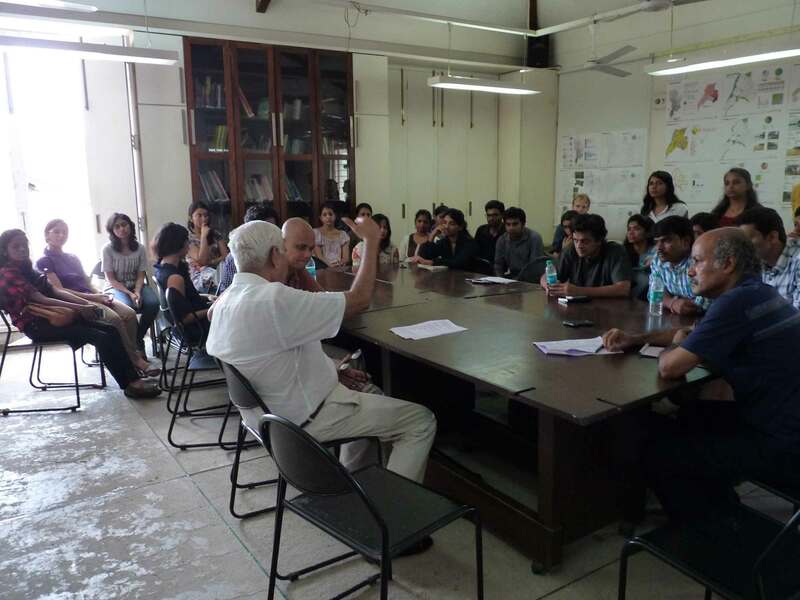 The lecture discussed the rapid and haphazard trend of urbanisation in Mumbai and its suburbs has extended relentlessly beyond its administrative boundaries. 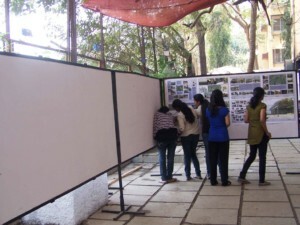 This explosive growth of urban areas has brought about fundamental changes, not only to the physical landscape, but to people’s perceptions of land and environment. Consequently, unsustainable pressures are placed not only on the environmentally sensitive landscapes but to the basic natural processes that have contributed to the physical form of the city. 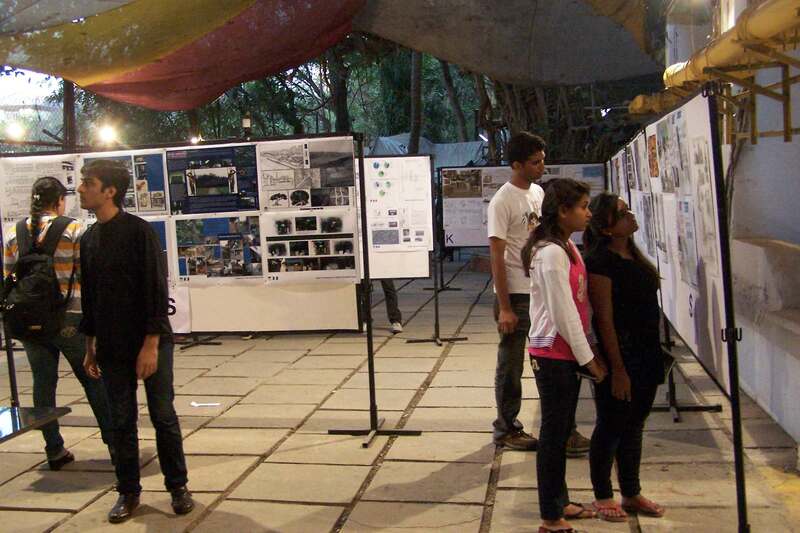 The urban environment has been shaped by a technology whose goals are economic rather than environmental or social. 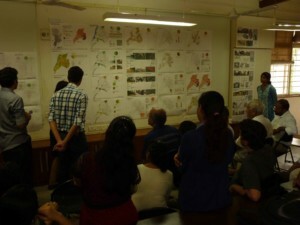 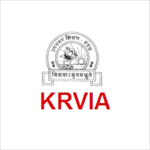 The impacts of this growth trend on the region’s natural resources and critically reviews the relevant environmental regulations through the case studies of two major cities within the Mumbai Metropolitan Region and the Thane. 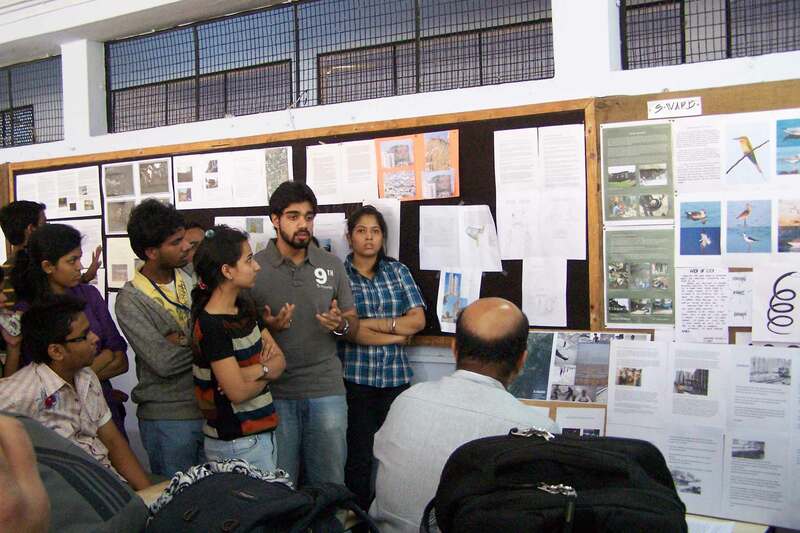 The need for an alternative basis for urban planning that is in tune with the growing awareness of, and concern for, the issues of energy, environment and natural resource conservation is central to the investigation of various issues of urbanisation in both the case studies. 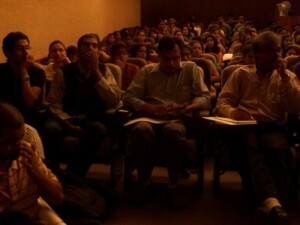 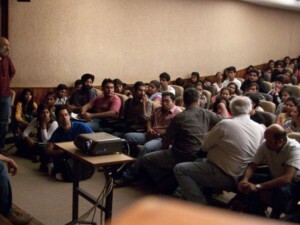 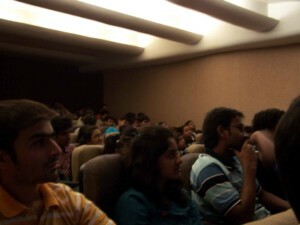 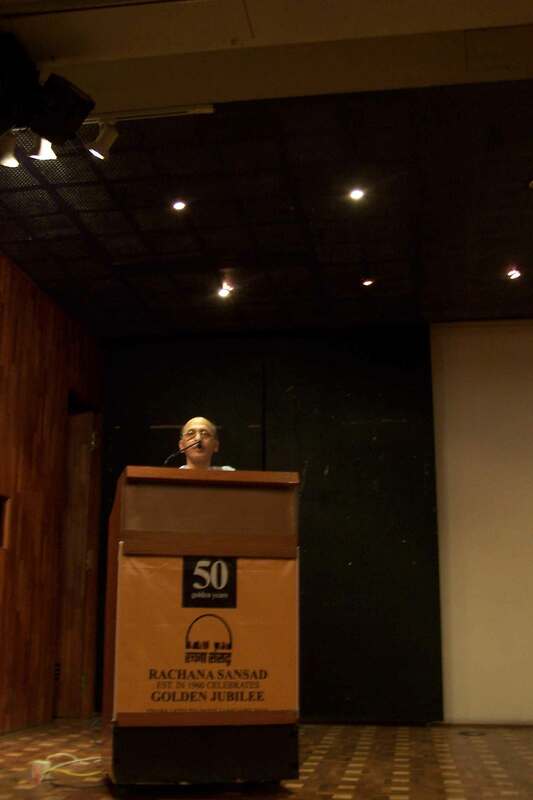 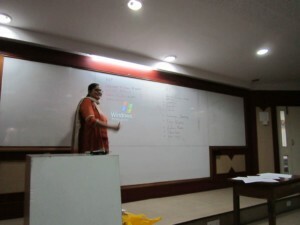 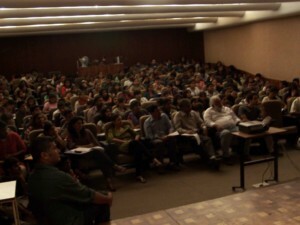 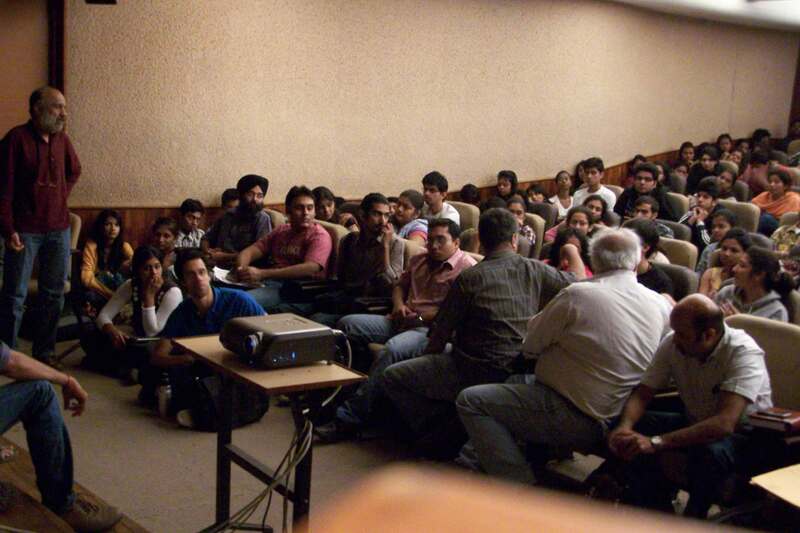 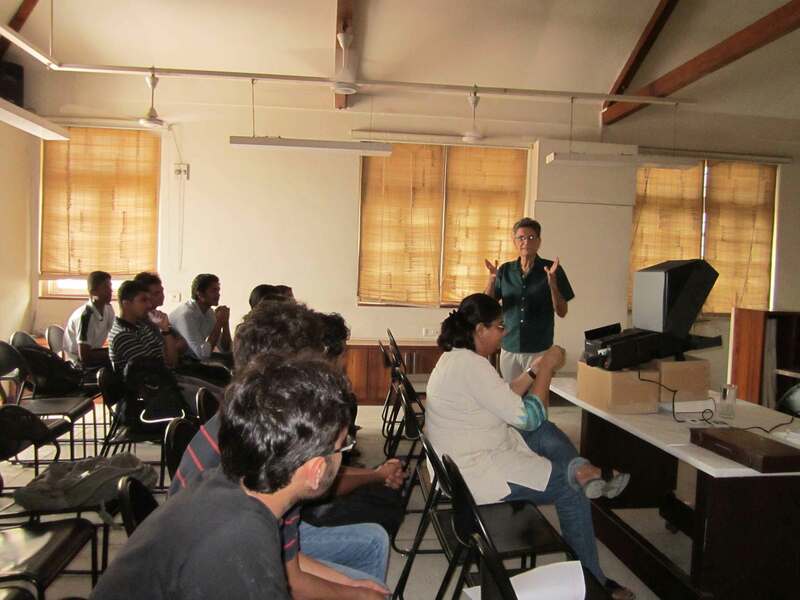 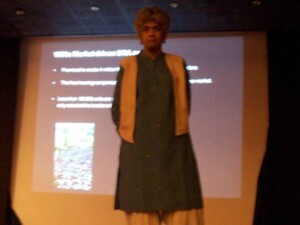 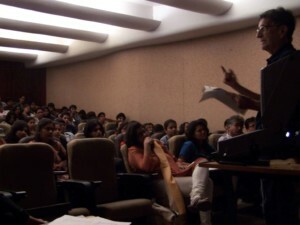 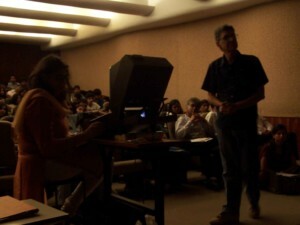 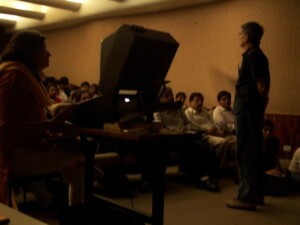 The lecture dealt with various issues of ecology on one hand and developmental issues on the other. This session discussed the common problems with transportation system of the city with over 65 lakh commuters using the suburban railway system, but the system doesn’t cater to the needs of passengers with disability, senior citizens or pregnant women. 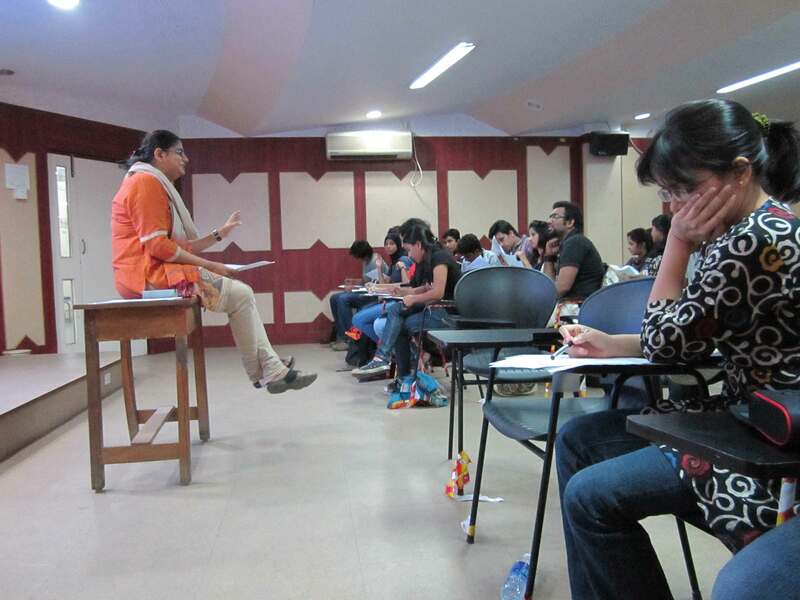 Alighting or going into a coach becomes an arduous task for even able-bodied commuters. 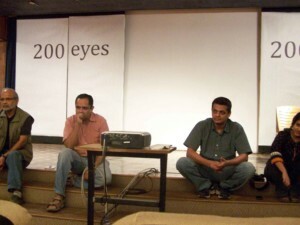 Secondly about 4,000 casualties occur annually. 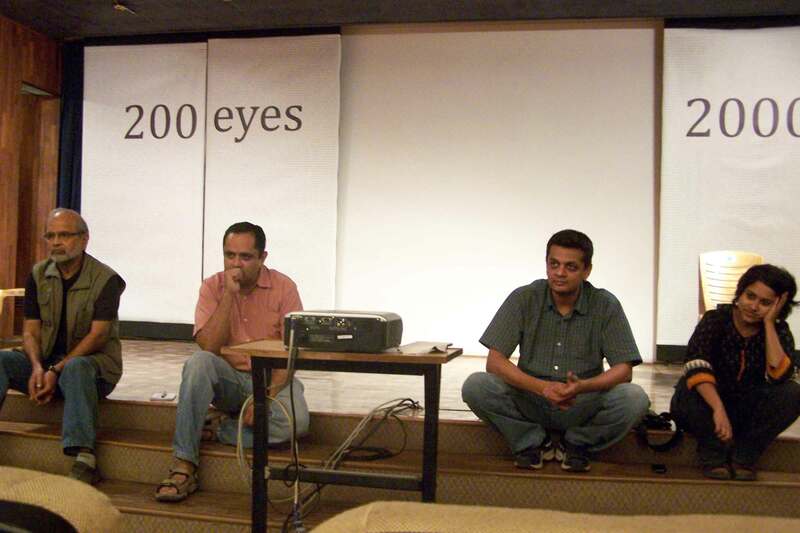 This can be averted in two ways. 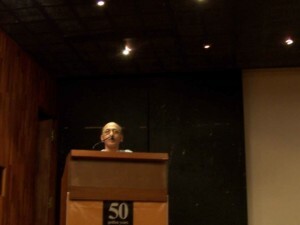 A short term scheme is to provide paramedic treatment in the golden hour, which in fact can be provided within three minutes of the occurrence of an accident. 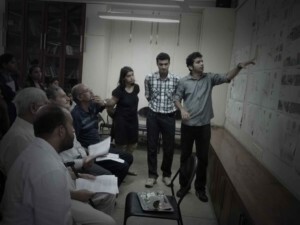 The long-term solution is to augment the carrying capacity of public transport, which is being done through MUTP and the Metro Rail. However, their combined capacity falls short; implementing Bus Rapid Transit System (BRTS) can be an answer to the problems. 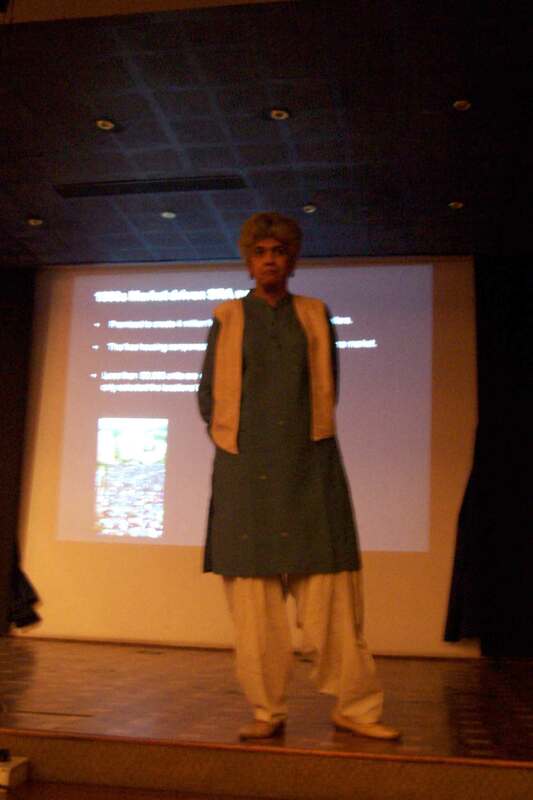 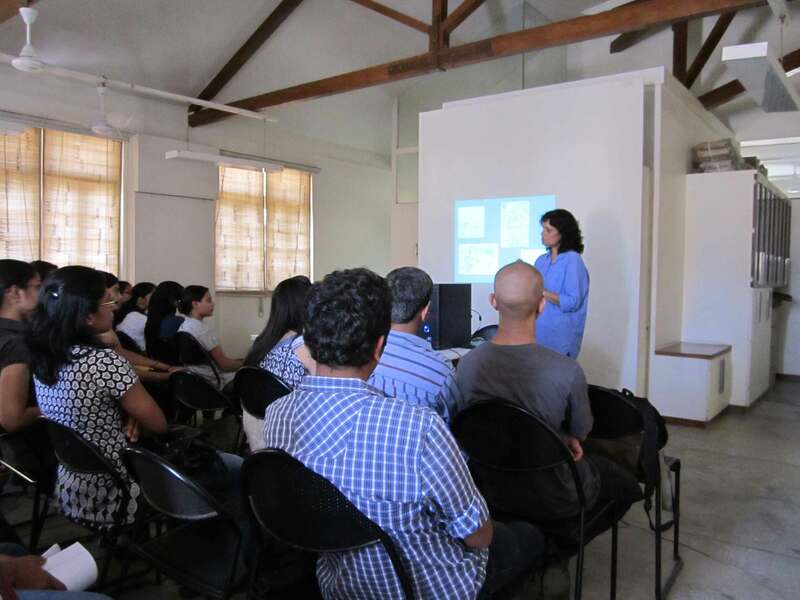 Neera Adarkar discussed the history of central Bombay's textile area — one of the most important, least known, stories of modern India. 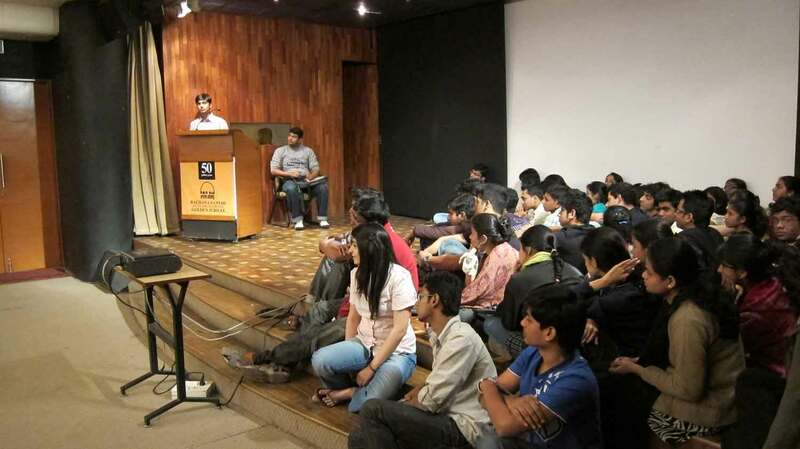 Covering a dense network of textile mills, public housing estates, markets and cultural centers, this area covers approximately one thousand acres in the heart of India's commercial and financial capital. 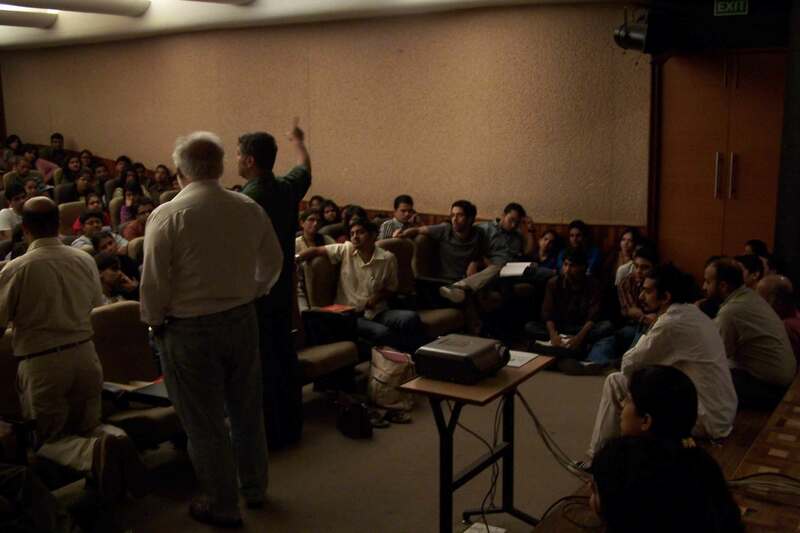 The lecture discussed the history, culture and political economy of a former colonial port city now recasting itself as a global metropolis. The exhibition 200 eyes 2000 views showcased student work presented as an a2 sheet with their views about the city. 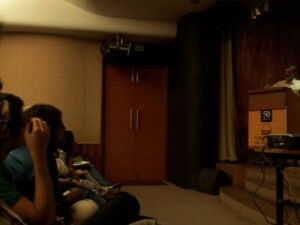 Video clips shot during the presentation were shown after the exhibition. 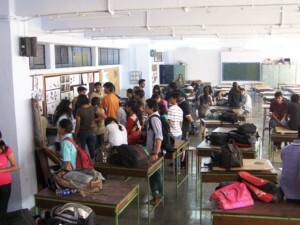 The students exhibited their work through poems, caricature, literature, video clips, sketches, etc. 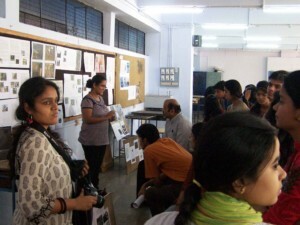 After presentations by the students, the panelists gave their feedback. 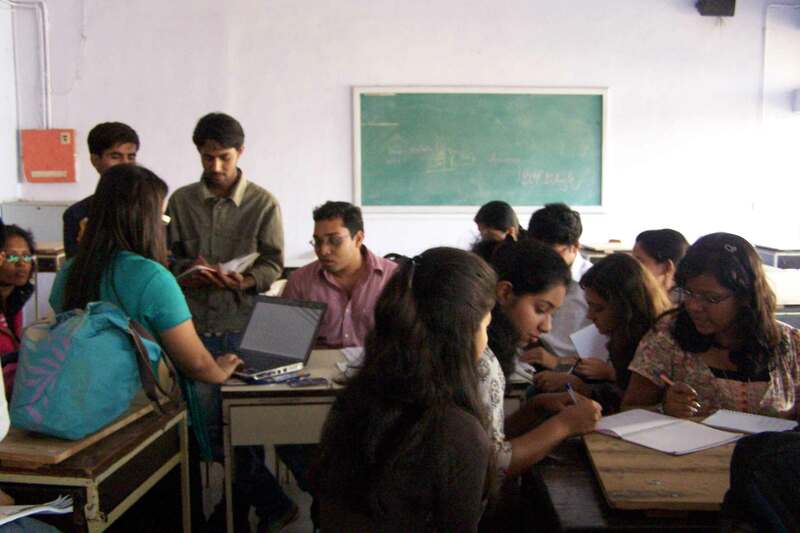 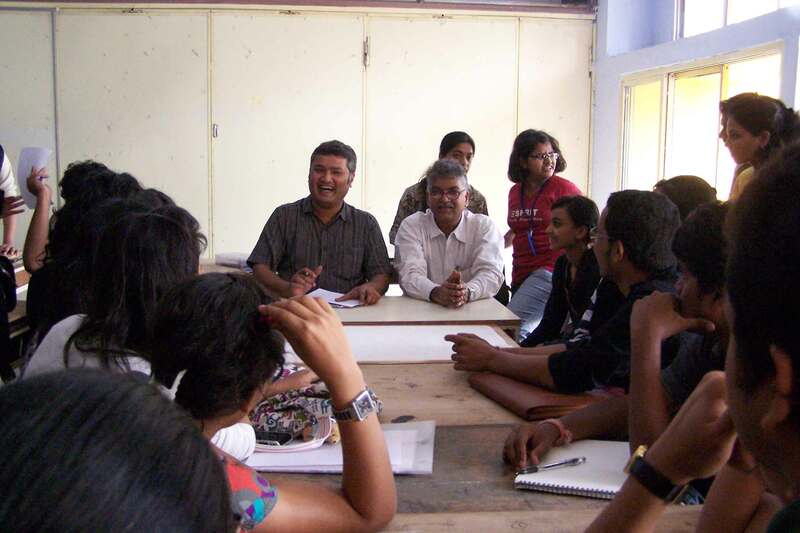 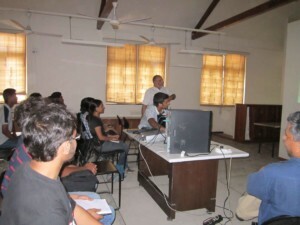 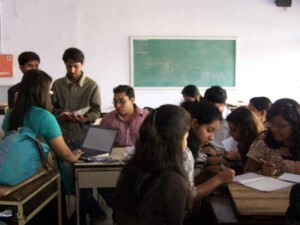 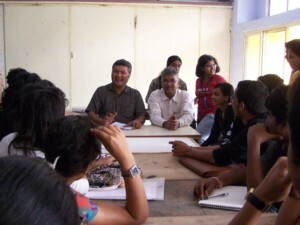 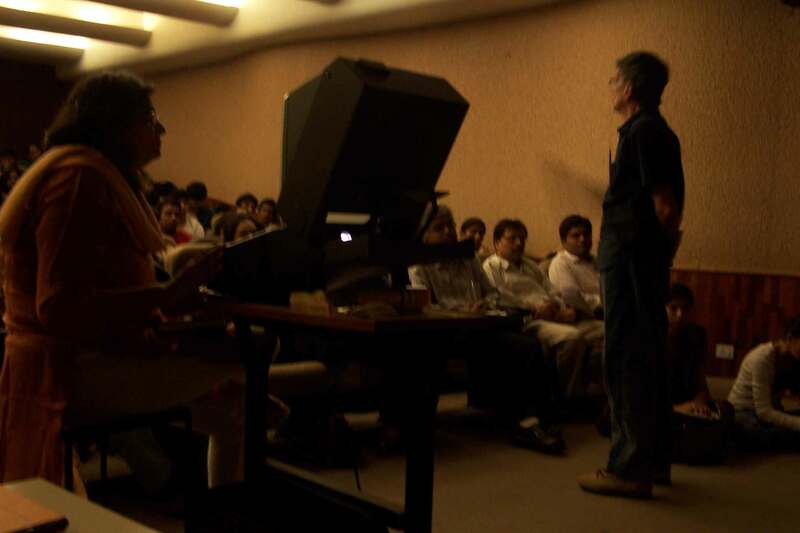 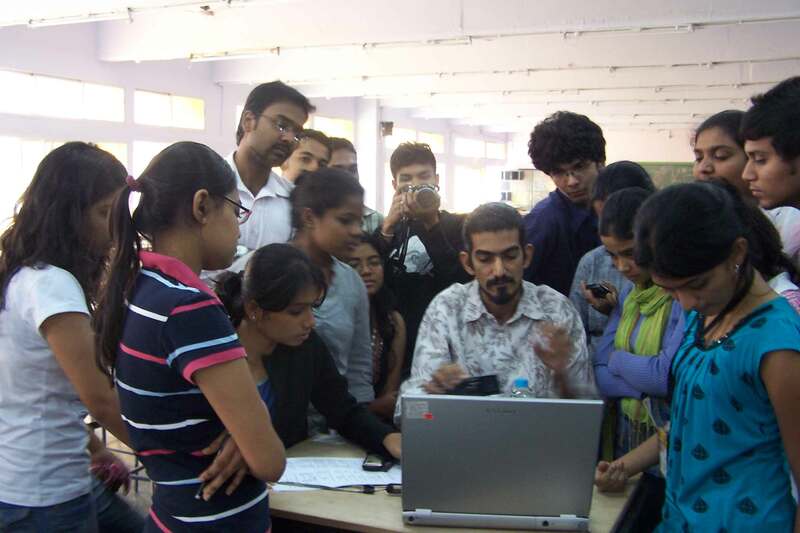 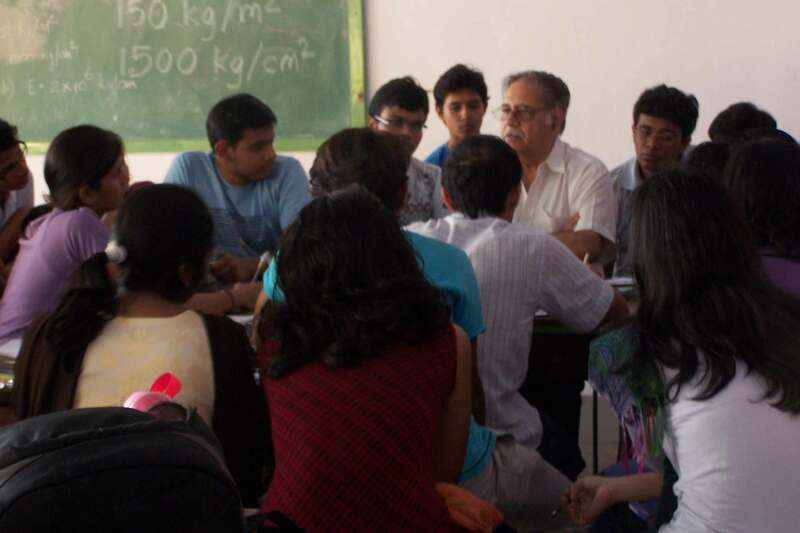 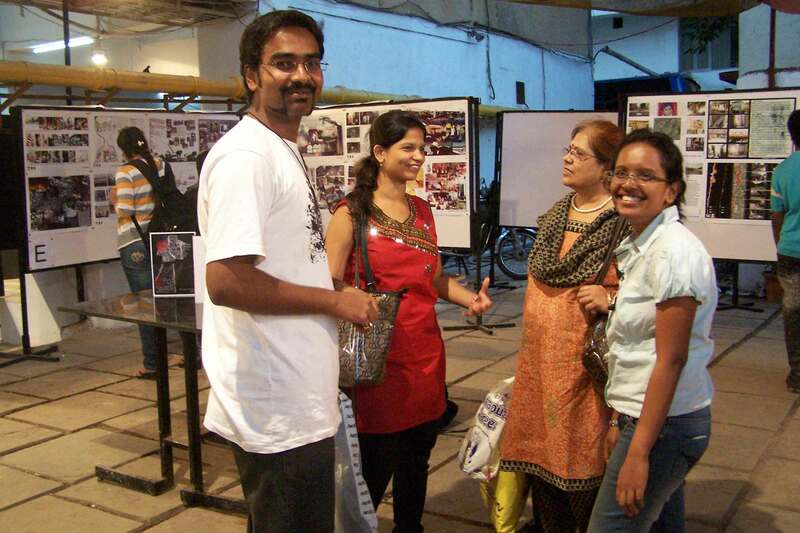 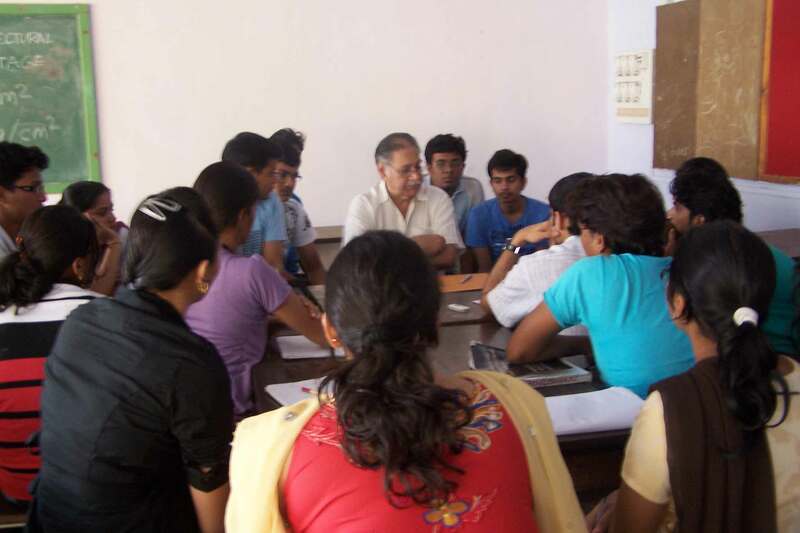 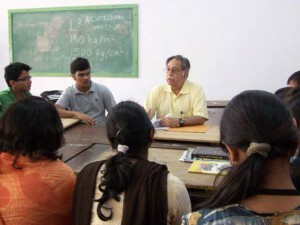 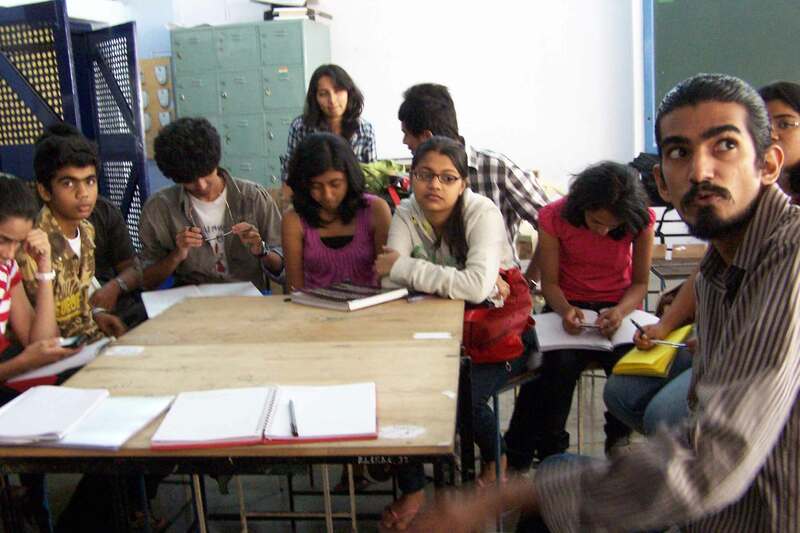 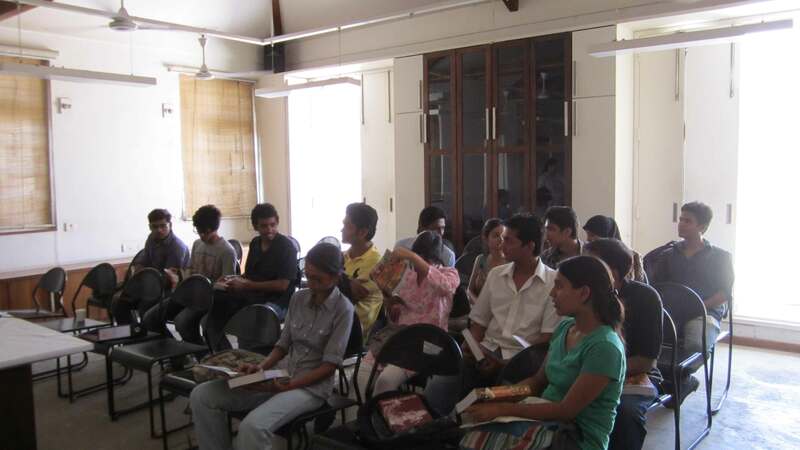 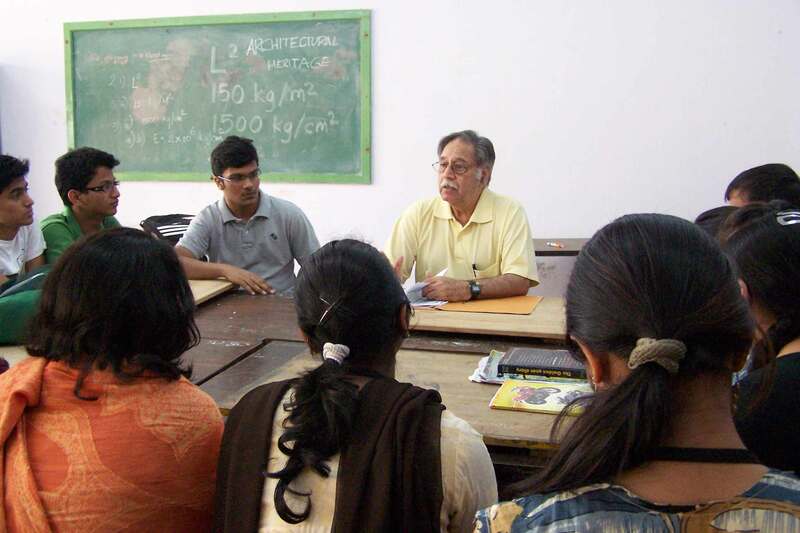 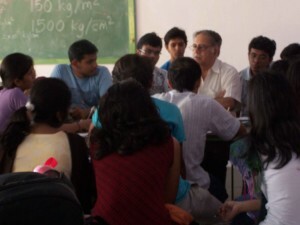 In May 2009, a group of 50 students and their professors worked with the UDRI as part of a summer internship to conduct ground surveys of integral open spaces, traffic and solid waste in the Fort precinct. 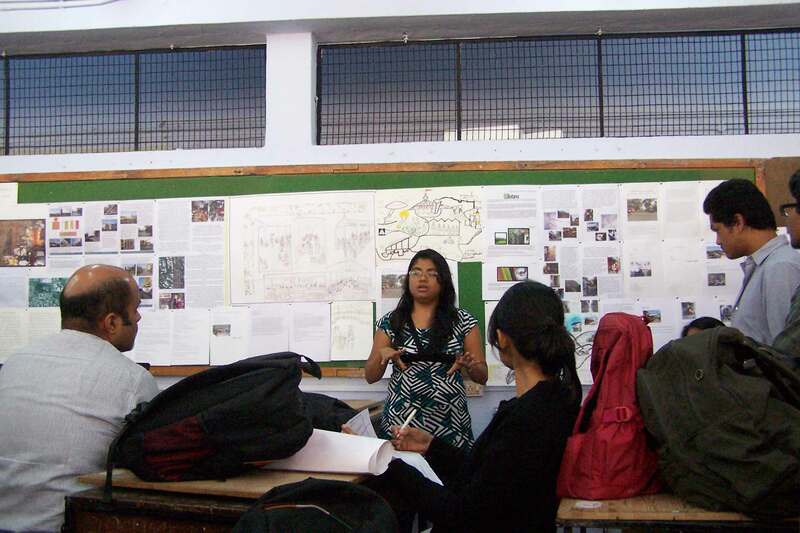 The analysis of the surveys led to an identification of issues in the Fort area that needed to be addressed through a local management proposal prepared by UDRI known as the Fort Management Plan. 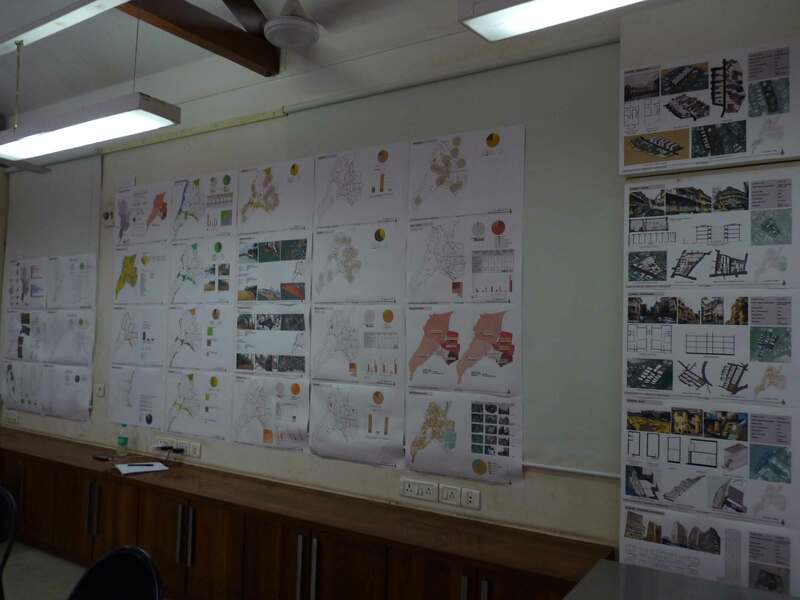 18 students of BVP and 5 students of IES participated in a two-week long workshop on the Development Plan and conducted surveys in 7 wards of Mumbai, building on earlier data gathered in a vertical studio held at the Academy of Architecture as part of the Development plan advocacy. 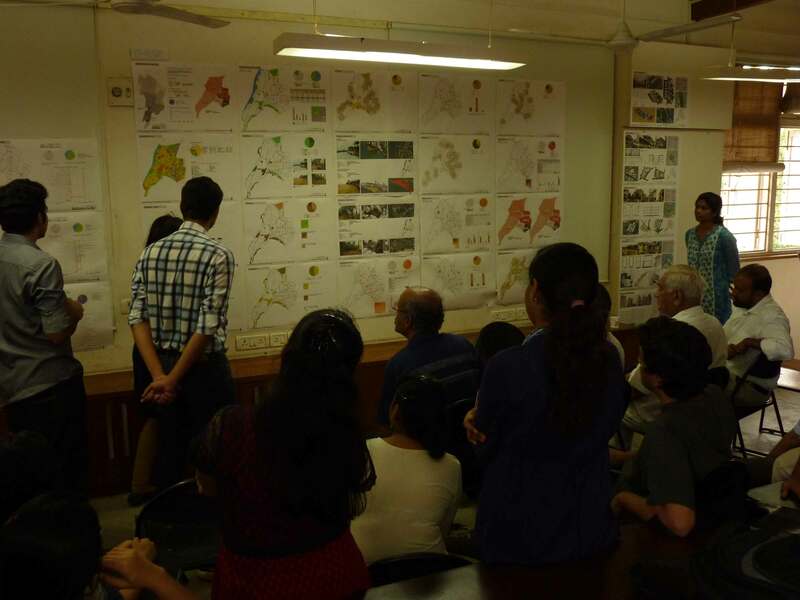 5 students of IES and 18 students of BVP participated in a two-week long workshop on the Development Plan and conducted surveys in 7 wards of Mumbai, building on earlier data gathered in a vertical studio held at the Academy of Architecture as part of the Development plan advocacy.